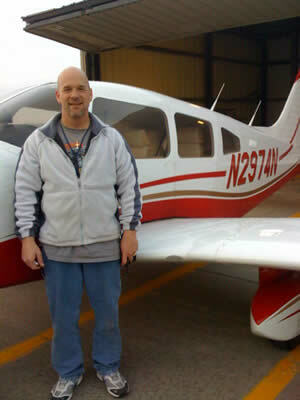 Stacy Billeter passed his instrument checkride Saturday February, 16th! Stacy has plans to continue his training starting on commercial in the near future. Stacy’s worked with Sean Davis along with Aaron Siegfried during his instrument training. 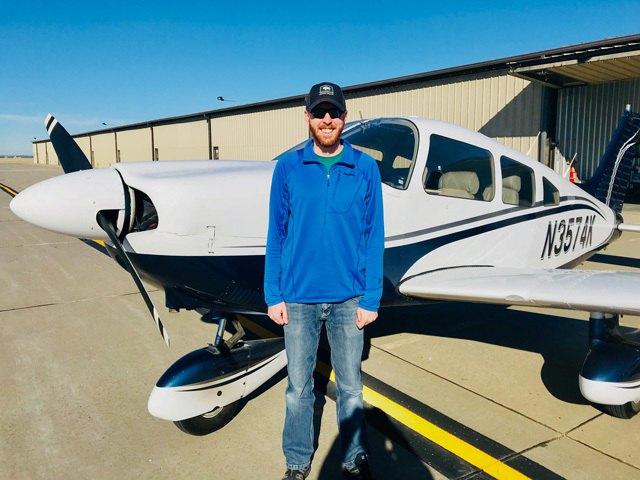 Adam Petts started off 2019 with his first solo flight at the Des Moines International Airport on January 4th! 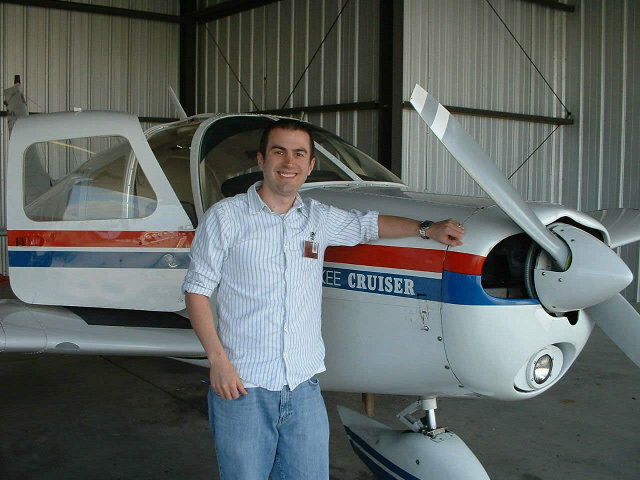 Adam is eager to start his cross countries and finish up his Private Pilot Certificate in the near future. Sean Davis is Adam’s instructor. New Plane In The Line Up! The Des Moines Flying Club is proud to announce the addition of a new plane to our fleet. 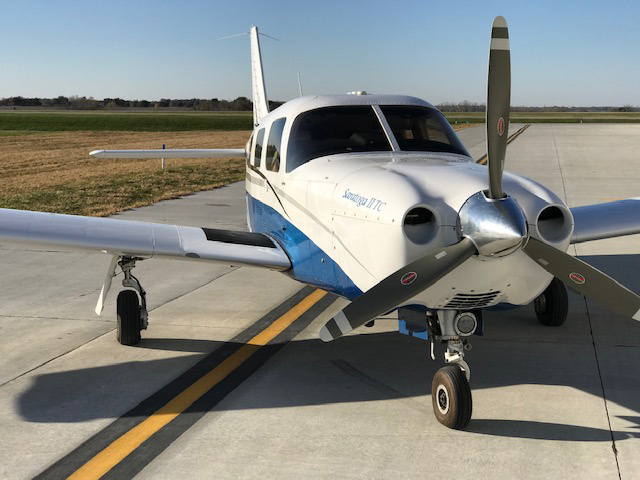 It is a Turbocharged Piper Saratoga. 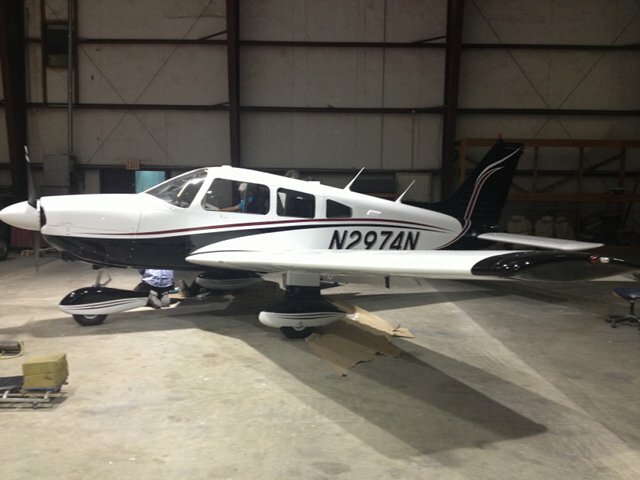 If you are interested in getting checked out in this new plane contact your club flight instructor. They will have all the information on the plane and can arrange a check out flight. 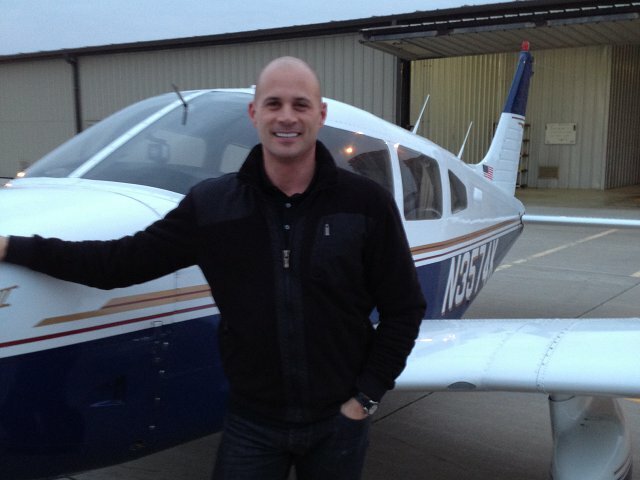 Reed Rinderknecht is a new instrument rated pilot. 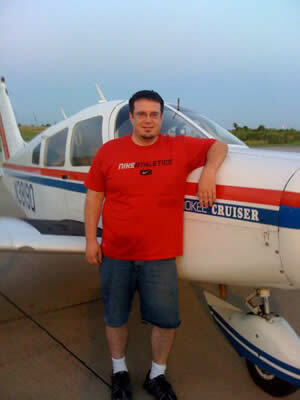 He passed his instrument checkride on June 14 in Mooney 58062! Reed's instructors are Ryan Campbell and Ryan Roesger. 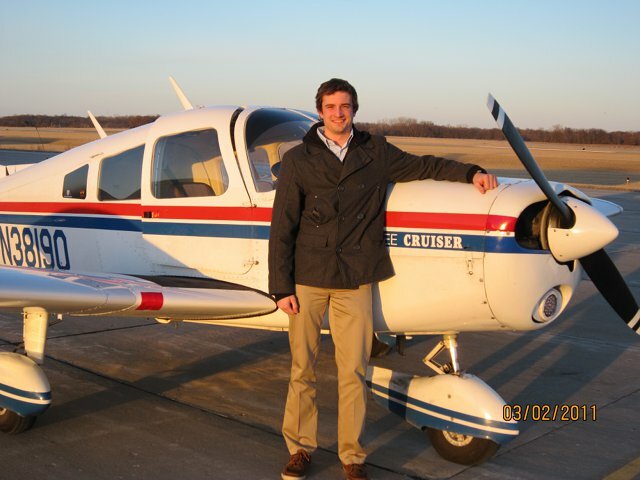 Reid Tamisiea soloed at the Des Moines Airport on Saturday, March 3rd. 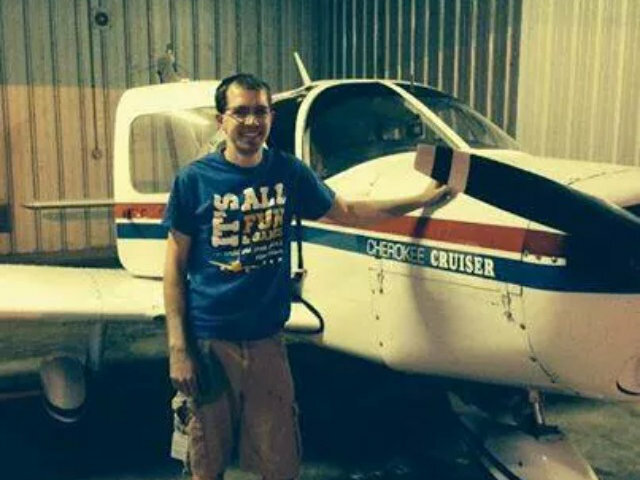 Congratulations to Reid on this achievement as he works to complete his Private Pilots License! Sean Davis is Reid’s instructor. Congrats to Zach Stubbs, who earned his Instrument rating on Friday January 5th, 2017. 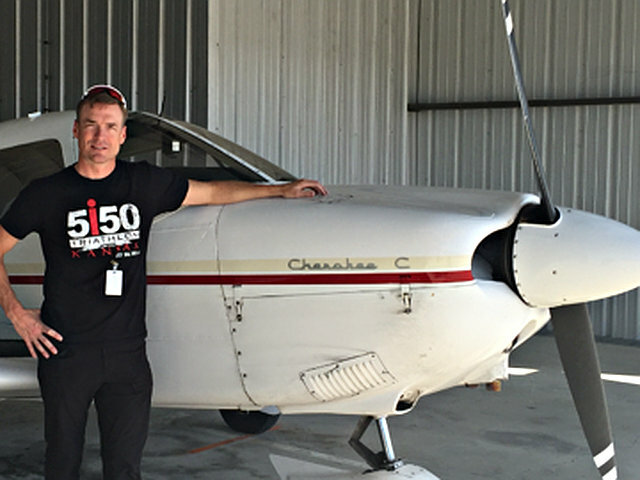 Zach earned his private pilot’s certificate in 2014 and recently decided to increase the capability of his rating by adding his IFR. He plans to soon transition into complex aircraft and uses his rating for business and pleasure. Sean Davis is Zach’s instructor. 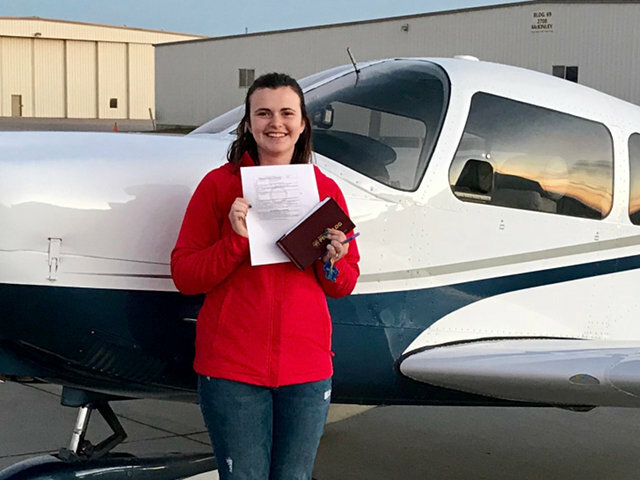 Sami Billeter earned her private pilot certificate on December 22nd, 2017, just in time for Christmas. Sami will begin the remainder of her flight training and undergraduate degree at Embry-Riddle Aeronautical University starting in January. We wish Sami the very best in her flying career and know she will do great. Sean Davis is Sami's instructor. 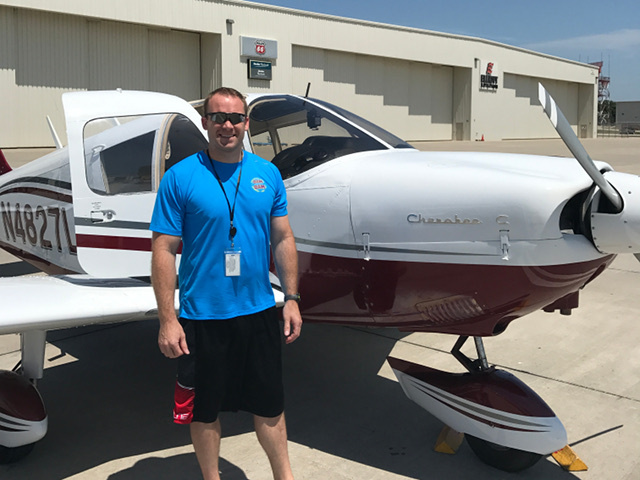 Stacy Billeter made his first solo in N2974N on August 2, 2017 at the Des Moines International Airport. 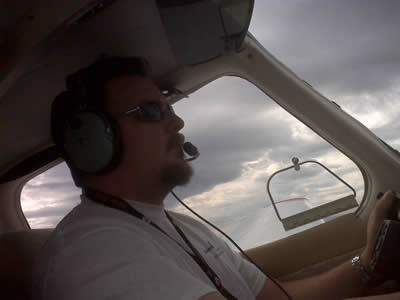 Stacy is well on his way to a Private Pilot license. Congratulations!! 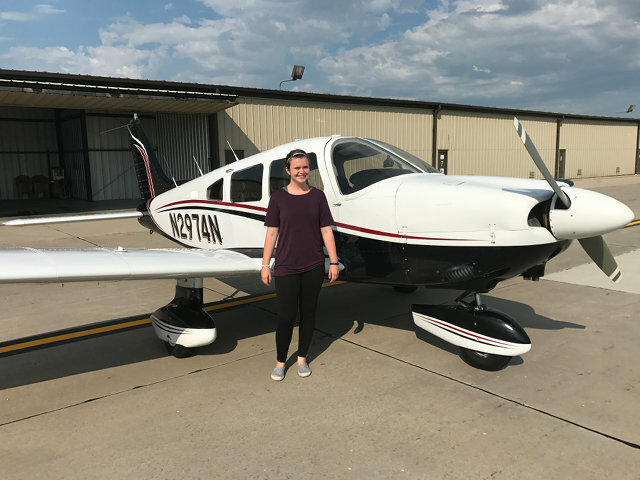 Congrats to Sami Billeter on her first solo at the Des Moines airport on August 18th, just three weeks after starting her training. She recently switched majors from Actuary Science and will be perusing a career in aviation. She plans to attend Embry-Riddle Aeronautical University next semester. Sean Davis is her instructor. 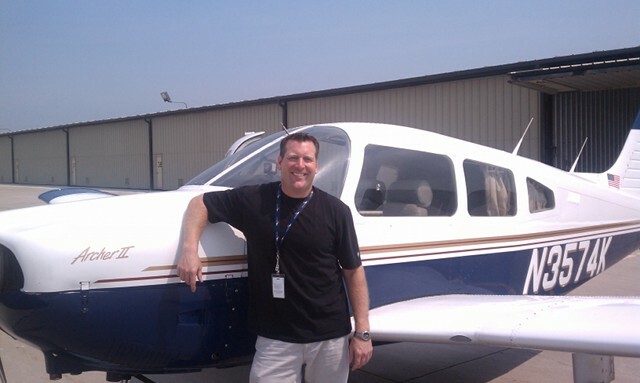 Lance Routson soloed July 20th at the Des Moines International Airport. The heat index was over a hundred degrees, but he conquered the heat and accomplished a great milestone. Lance is looking forward to starting his cross country flights and finishing his private in the near future. Sean Davis is Lance's instructor. 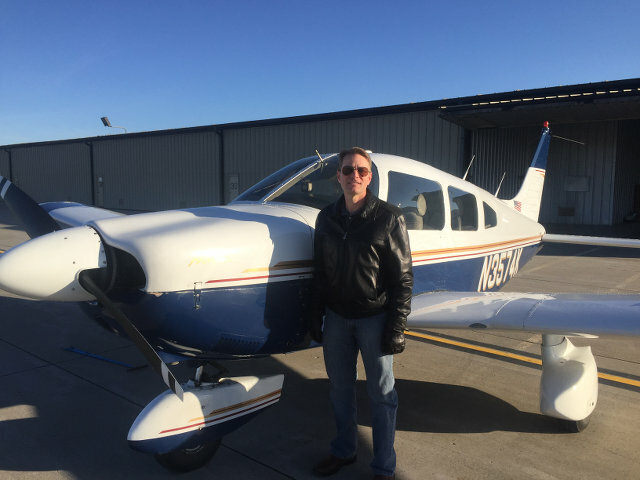 Jack Hamborg soloed November 15th at the Des Moines Airport. Jack is a Senior at Valley High School. He is looking forward to finishing his private before beginning his collegiate career at University of Iowa. Congrats Jack!! Sean Davis is Jack's instructor. Congratulations to Jackson Shiek who soloed in the Archer II on Wednesday August 17, 2016. 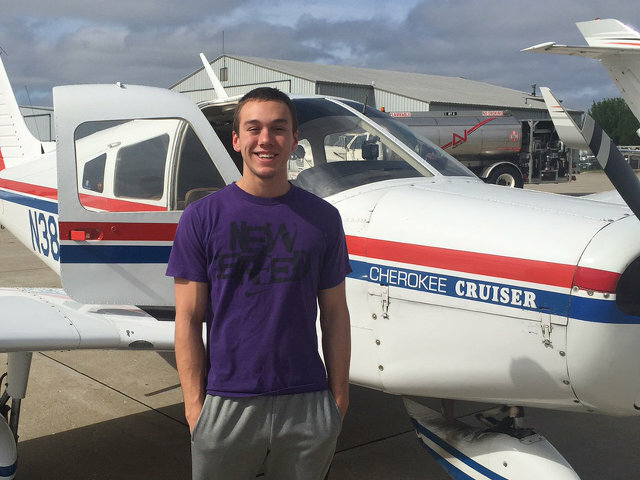 Jackson is a senior at Ankeny and is looking forward to completing his Private Pilot Certificate. Ryan Roesger is Jackson's instructor. 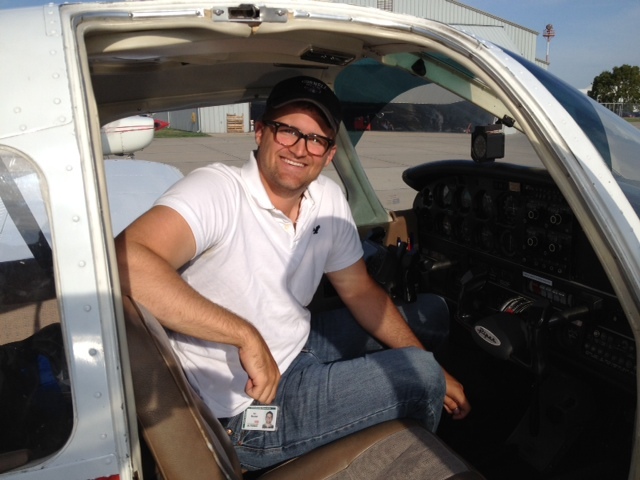 Dallas Ballard soloed Sunday July, 31st at the Des Moines airport. 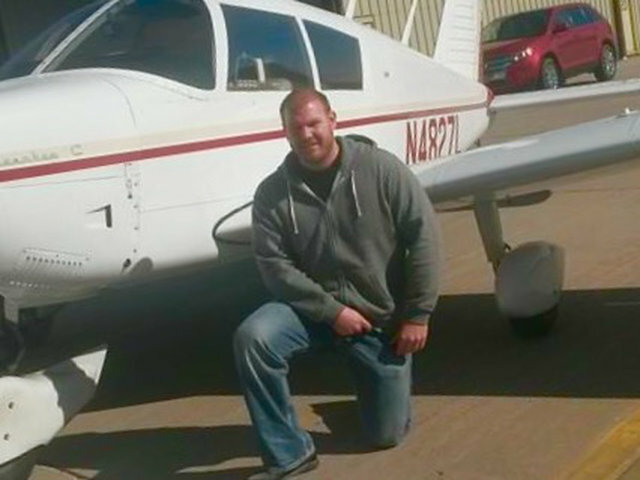 This solo comes only two days after accepting a pilot training slot with the Iowa Air National Guard. Huge congrats on a very successful weekend! Sean Davis is Dallas's instructor. 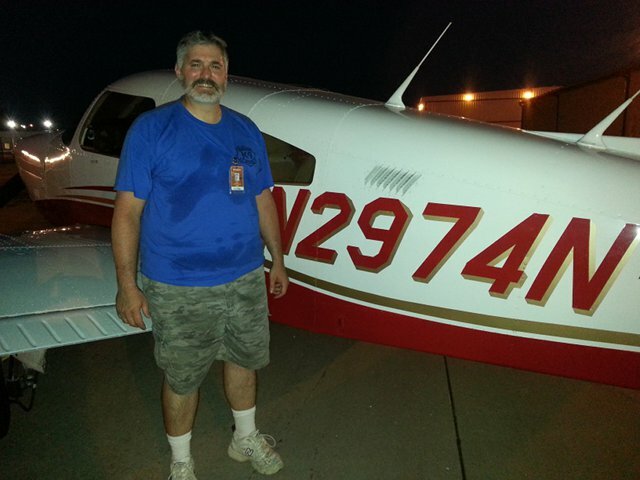 Russ Bollig soloed at the Des Moines airport on Friday July, 29th. Russ has already begun his cross country flights and is looking forward to utilizing his license for business and pleasure. Congrats Russ! Sean Davis is Russ's instructor. After a long 20 year journey, Ron Leeper completed his private pilot check ride Friday, July 8th 2016, with Shane Vande Voort. Don David was his instructor. Ryan Roesger is his instructor. 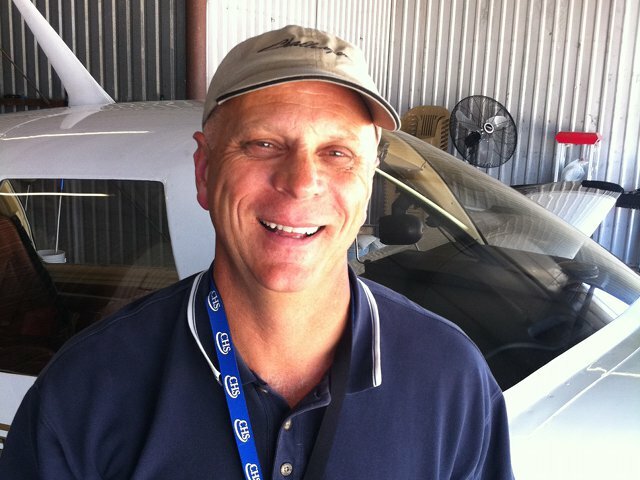 Reed Rinderknecht had is first solo on February, 20th. He's been training in N4827L. Ryan Campbell and Ryan Roesger are his instructors. 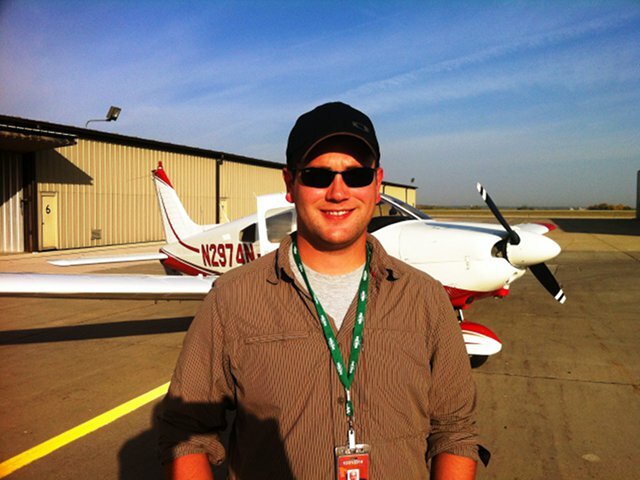 Justin Brammer completed his Private Pilot check ride March 5th! Justin is looking forward finishing his senior year at Ankeny High School and getting to work on advanced ratings in his pursuit of an aviation career. Congrats Justin! Sean Davis is Justin's instructor. 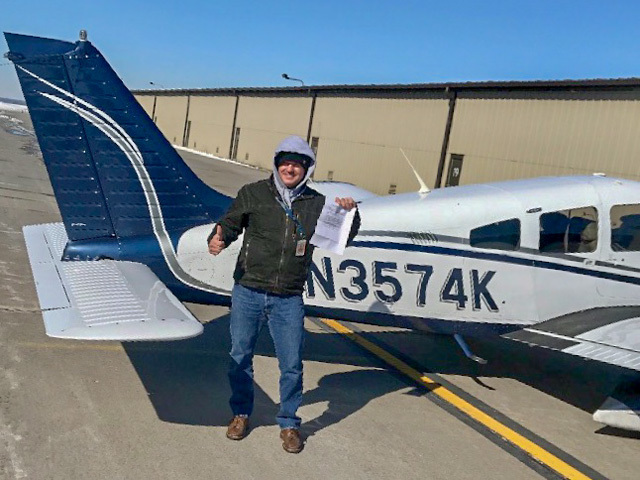 John Reiher soloed February 27th at the Des Moines International Airport. 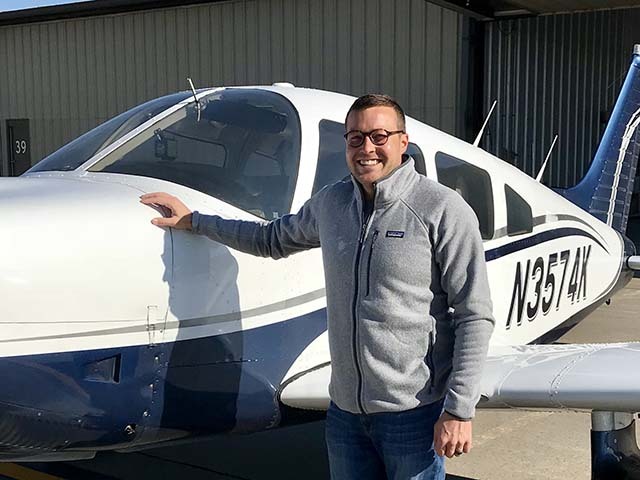 John has been aggressively pursuing his Private Pilot's license and is looking forward to his cross country flights and completing his training in the near future. Sean Davis is John's instructor. 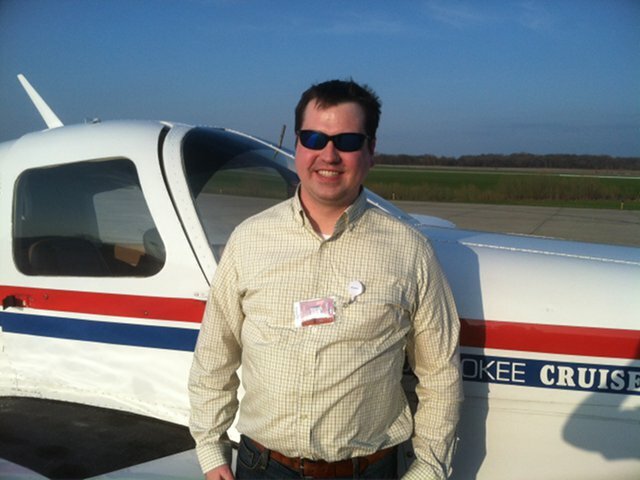 Josh Young completed his Private Pilot check ride February 13th! Josh is eager to enjoy his new privileges as a pilot and looking towards his instrument rating in the future. Congrats Josh! Sean Davis is his instructor. 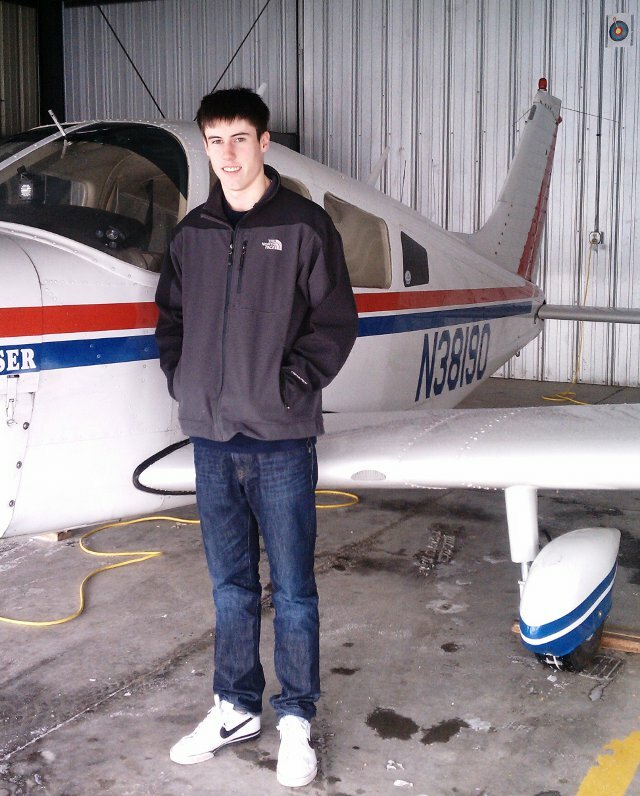 Alex Winter soloed on January 21st at DSM. Alex is looking forward to finishing his rating and persuing a career in aviation. A very happy Luke Rubie after his first solo! Luke is a natural pilot and very smooth at the controls. Steve Davis is his instructor. DSMFC is pleased to announce the club Mooney N56100 has an all new electronic engine monitor. It is very cool and makes operating the engine properly very easy. The operating manual is in in the flight manual for the airplane. You need to at least read the manual and possibly get some dual from one of the club instructors before taking off on a flight. Click here for a pdf of the manual if you'd like to read it at home. 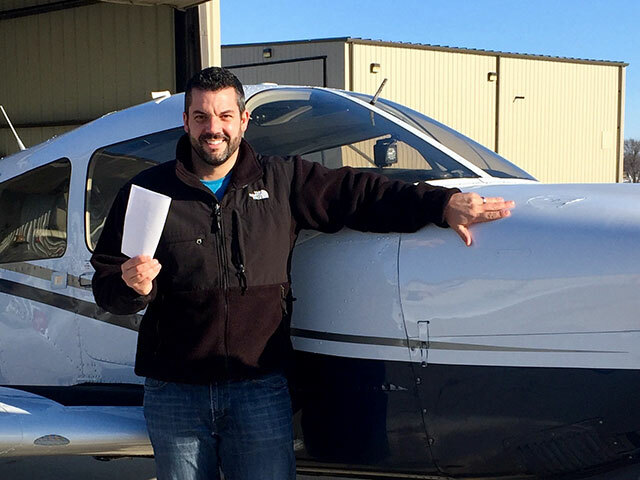 Congratulations to Stefan Friedman who soloed at Ankeny in the Cherokee 180 on October 26, 2015. 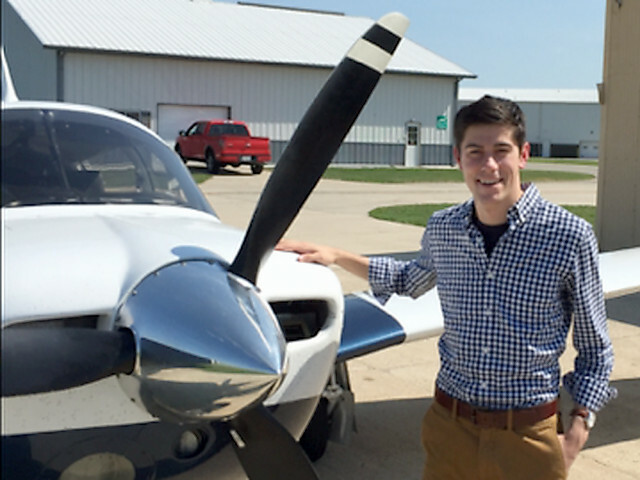 Stefan is currently working towards his Private Pilot Certificate at the Des Moines International airport. Great job today! Ryan Roesger is Stefan's flight instructor. 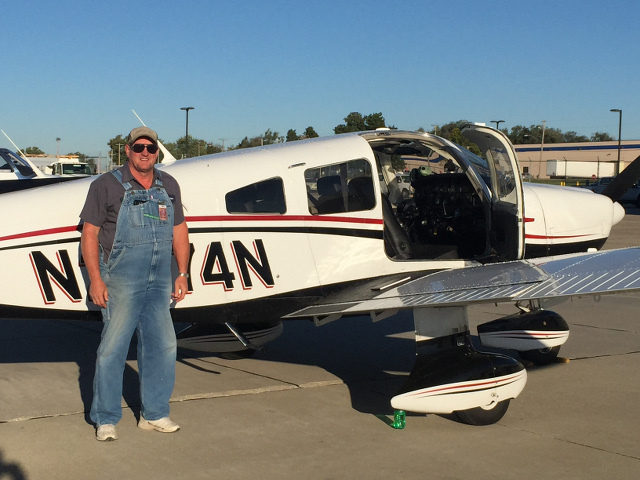 Don Embree soloed at Des Moines on October 2. Don is well on his way to reaching his Private Pilot license. Bill Sand is Don's flight instructor. Meet Evan Reiman. He's now a CFI!. Ryan Campbell was Evan's instructor. This is Josh Young right after solo. His words: Yaaaaay! Not dead... Jk. That was awesome!! Steve and Sean Davis are his instructors. They say Josh is a good pilot! Josh Bertocki soloed at Des Moines today, July 9th. Josh is excited to finish his private pilots license in the near future! Sean Davis is Josh's instructor. 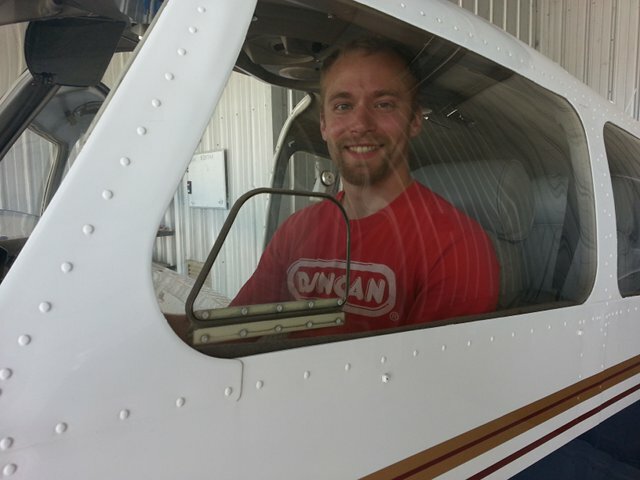 Justin Brammer soloed on May 19th. Justin is a senior at Ankeny High School and is looking forward to finishing his Private as he progresses toward a career in aviation. Congrats Justin! Let's congratulate Robert Wagner! He passed his private pilot checkride! Frank DeLouis is Robert's instructor. Mark Quiner earned his Private pilots license today after a lot of hard work, study and practice. 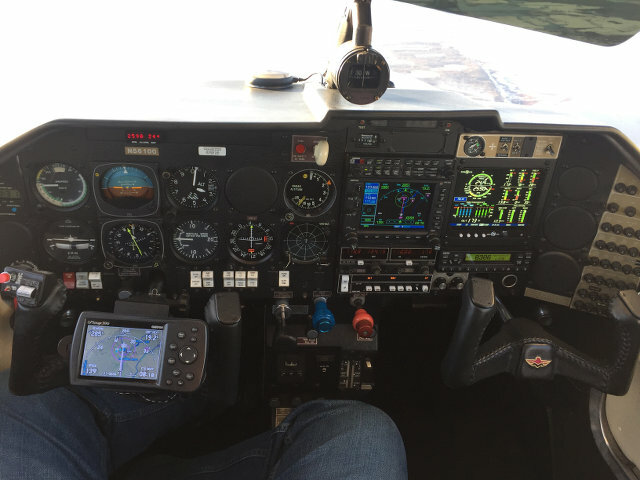 Mark plans to continue his training to obtain his instrument rating. He will use his newly earned rating for business and eventually plans to buy his own airplane. Mark's wife purchased a gift certificate for Mark to get him started on his dream and she has been great support all along behind the scene. Steve Davis is Mark's instructor. Jess Ellwanger passed his private pilot check ride today! He's looking forward to starting his instrument rating as he finishes up his senior year of high school. 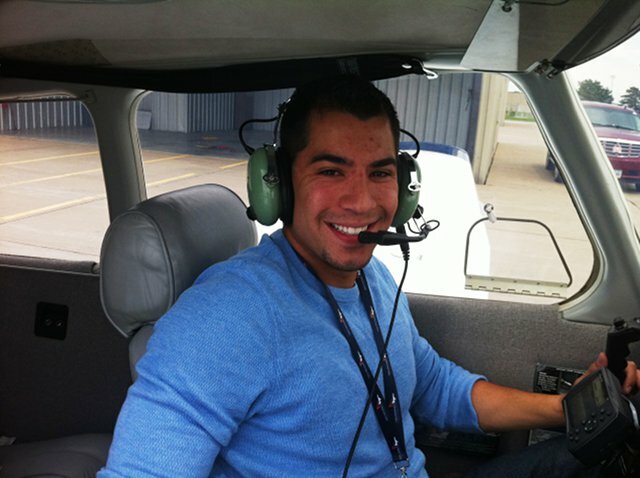 Here's Jess's picture from the day he flew his first solo! Sean Davis is Jess's instructor. Congratulate Kevin Shalosky on his first solo! 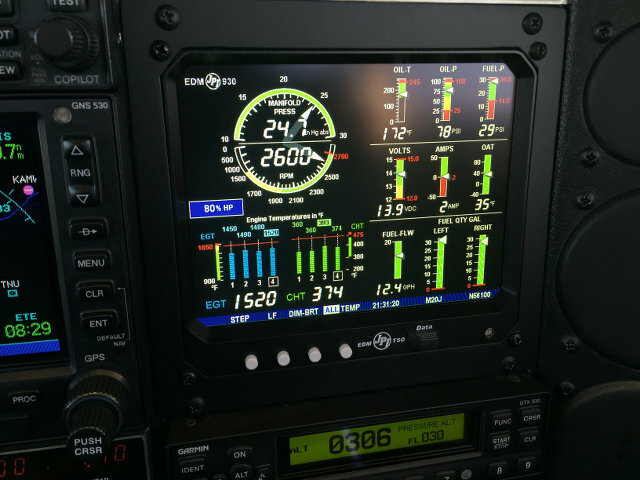 Kevin notches up his solo in N38190! Congratulate Tom Kraft on his first solo! As you can see in the photo, he flew his solo in N38190. Frank DeLouis is Tom's instructor. Congratulate Robert Wagner on his first solo! He flew the club's new Cherokee, N4827L. 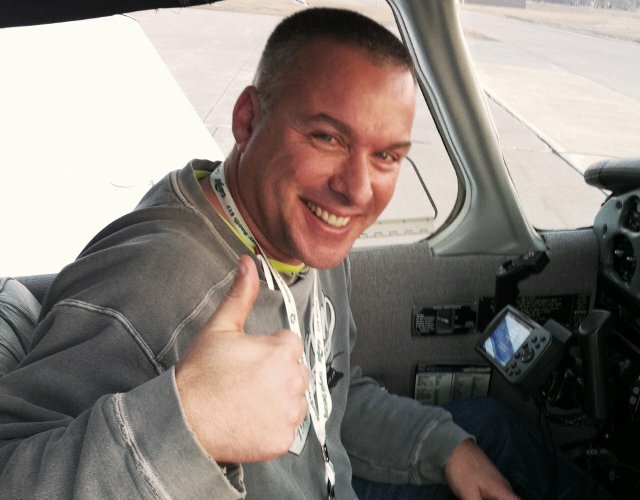 Nathan Smith is DSMFC's newest private pilot! 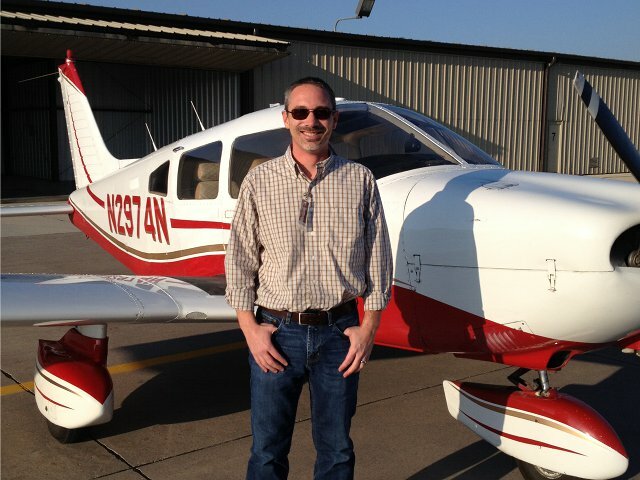 He passed his checkride Saturday October 25th at KPEA with Shane Vande Voort. Eric Reese is Nathan's instructor. 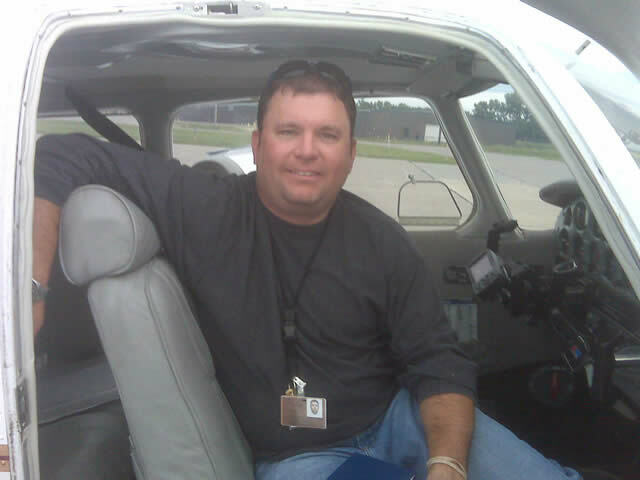 This is Mark Quiner right after he soloed in N4827L. You can see by the smile on his face Mark loves to fly. 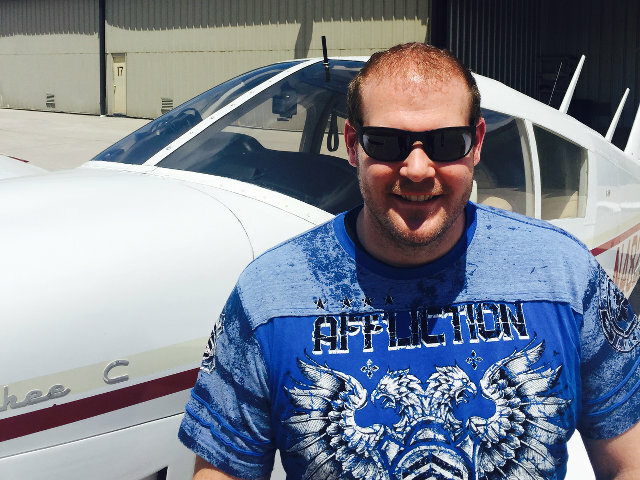 He has made the commitment to himself to finish his private pilot license and then own his own airplane. Mark is a talented pilot with drive to succeed! Another new pilot! 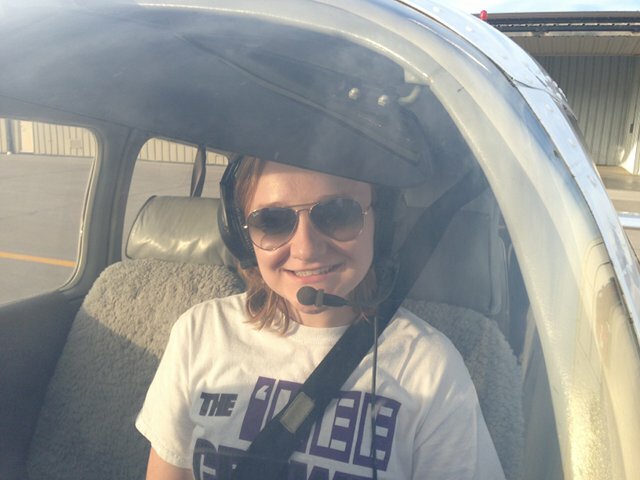 Sami Babb just graduated from high school and is headed to Embry Riiddle to become a pro-pilot. Congrats Sami!! Steve Davis is her instructor. 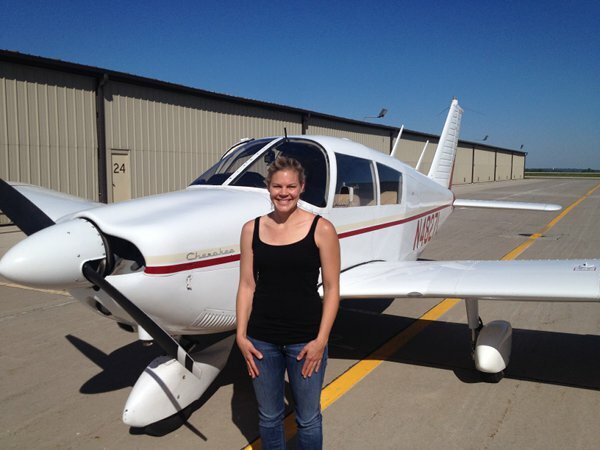 Sarah Riley soloed at the Des Moines Airport on August 13th. 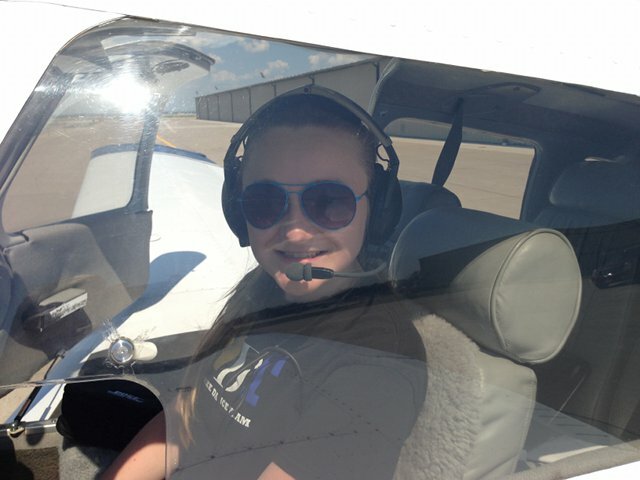 She will soon start her cross country training and is looking forward to earning her private pilot certificate. 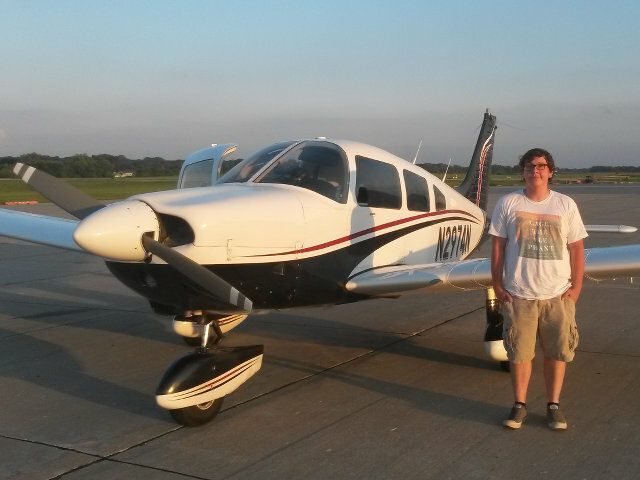 Nathan Smith had his first solo July 28th at the Des Moines airport. He's on his way to becoming a private pilot! Nathan's solo was in 38190. Eric Reese is his instructor. We have added another airplane to our fleet. 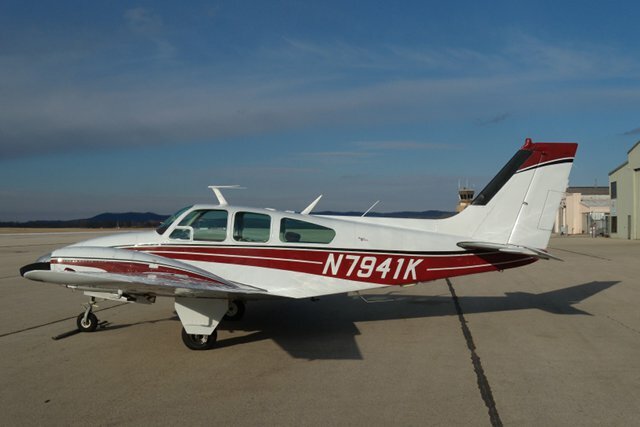 This Cherokee 180, N4827L is on the schedule and ready to fly! It is currently based at Signature. Click here for all the details on this great new plane! 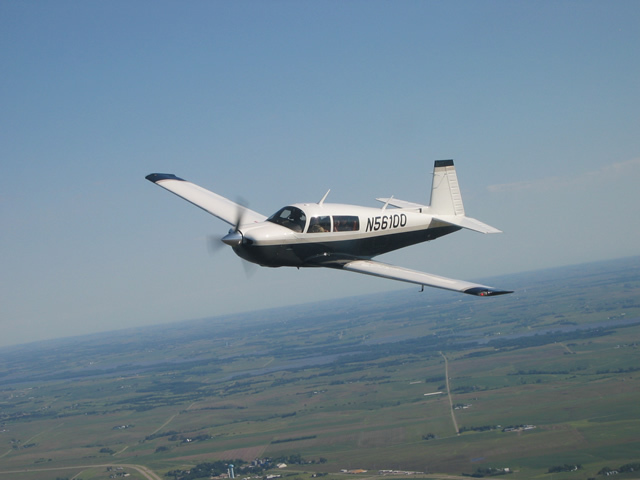 So, call your flight instructor and get checked out in the latest addition to the Des Moines Flying Club fleet! Congratulations to Job Cooper on his successful completion of his private pilot check ride! Don David is his instructor. Congratulations to Craig Thomes. He passed his private pilot checkride on Saturday, March 15th! 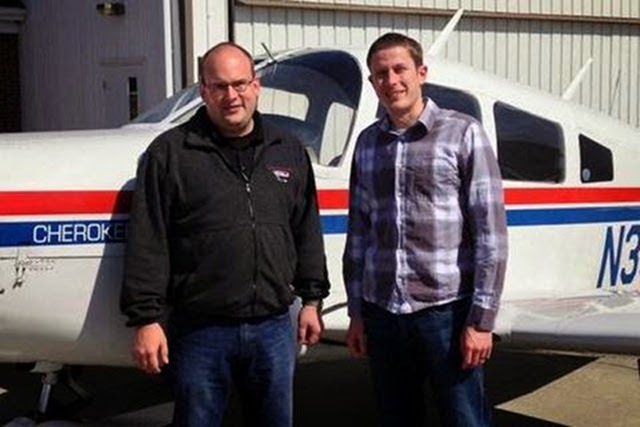 He's seen here with Examiner Shane Vande Voort in Pella right after his checkride. Rick Gleason was Craig's instructor. Nope! It's not a new plane. But it is a new look for N2974N. You've no doubt noticed that 74N has been out of the hanger for some time. Here's what all the fuss is about... A new paint job and a new interior! Click this link for pictures of the interior! 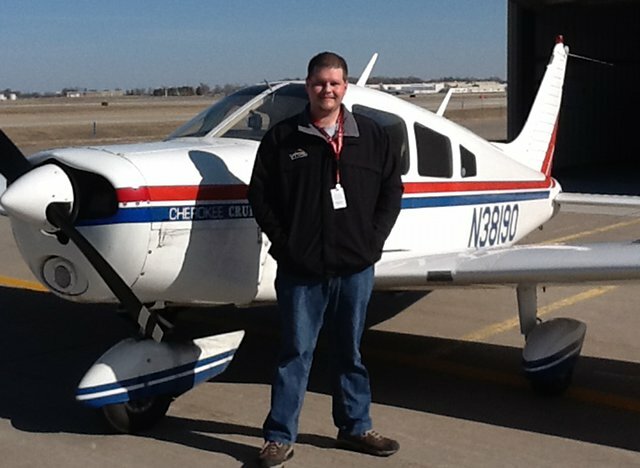 Kyle Erickson soloed on Halloween at the Des Moines Airport. Kyle is looking forward to finishing up his license and flying back and forth to Michigan on the weekends. Sean Davis is Kyle's instructor. He says there was nothing scary about Kyle's flying! We have a new Private Pilot. 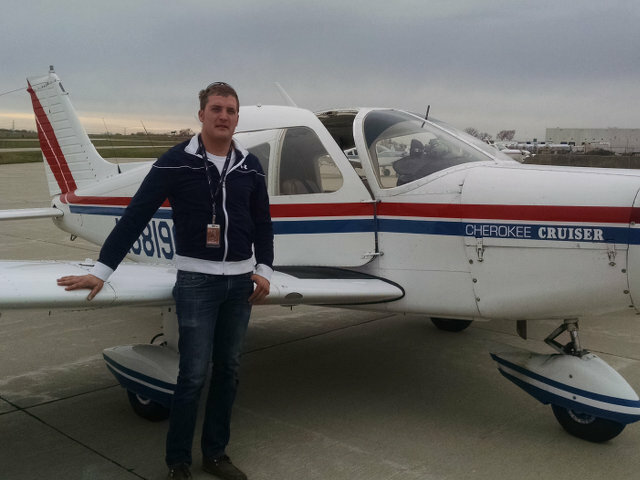 Adin Sehic passed his checkride Thursday, October 10th at Pella. Rick Gleason is Adin's instructor. 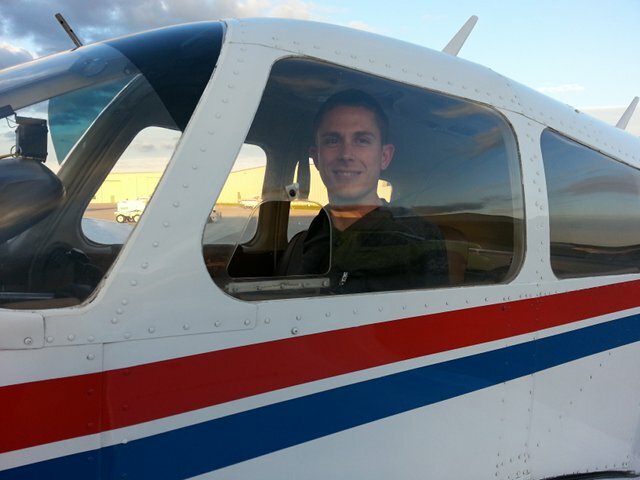 Let's congratulate Jess Ellwanger for his solo on October 1st! Jess soloed in 38190 at KDSM. Now he's moving on with his training. We have a new private pilot! Jordan Shaw soloed on the 7th of September 2013, and now has a freshly minted private pilot certificate. Congratulations Jordan! Michael Touney was Jordan's instructor. Brian Stockton soloed in 74N on August 26th! It was a hot one out there but Brian was all smiles. Rick Gleason is Brian's instructor. Sami Babb right after her first solo. Sami is a senior at Waukee high school and is 16 years old. Congratulation to Sami. Let's congratulate Ryan Gruhn for his first solo! From the photo it he was flying N3574K. Ryan Campbell is Ryan's instructor. Robert Gray passed his PPL checkride Saturday June 29th! He trained in N3574K. Rick Gleason is Robert's instructor. 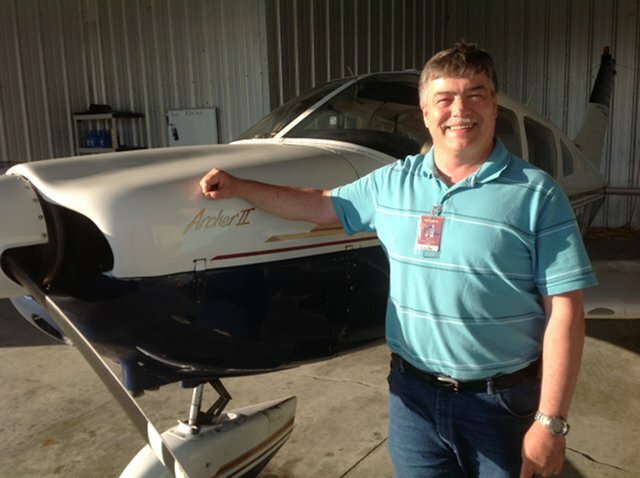 Randy Sackett soloed on June 13th at the Des Moines airport. 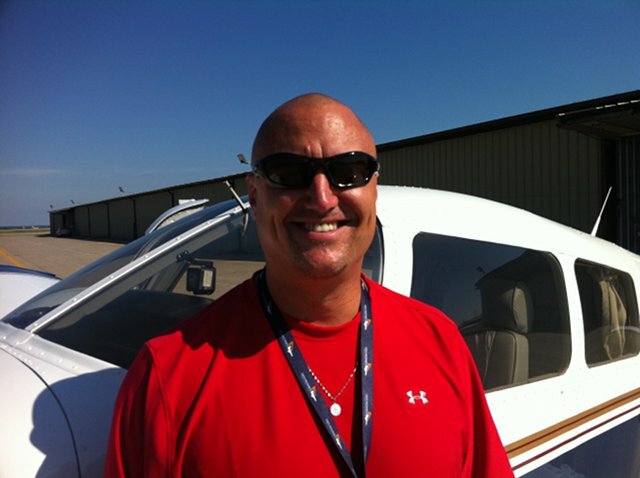 Randy is looking forward to starting his cross countries and finishing up his Private Pilot License. Sean Davis is Randy's instructor. 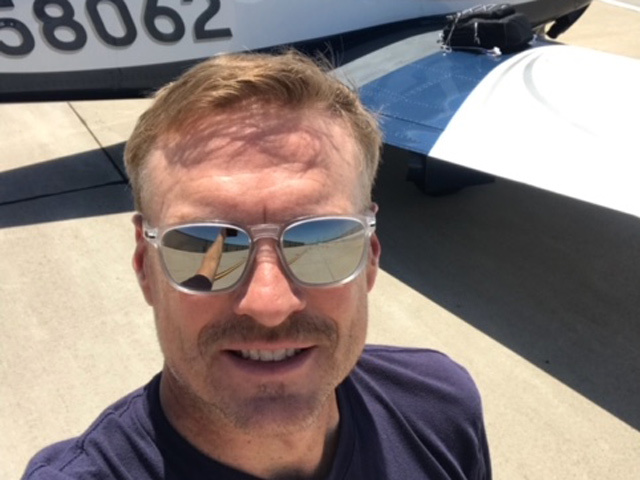 Congratulate Craig Thomes for his solo in 38190 on Wednesday the 5th of June! The weather was great and so were Craig's landings! Rick Gleason is Craig's instructor. 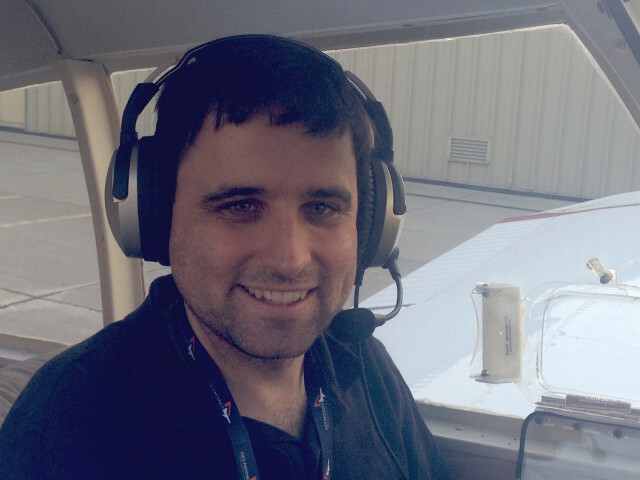 Stuart Rauh is a freshly minted instrument pilot! 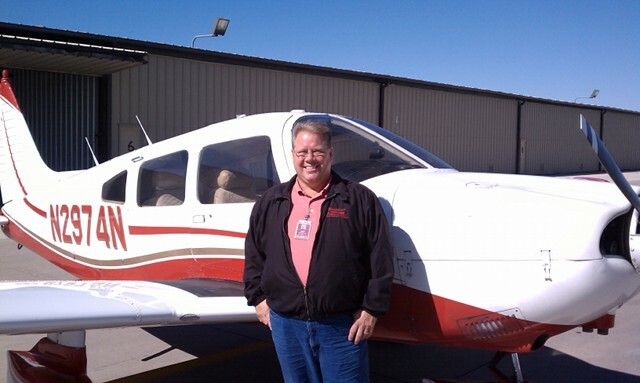 Let's congratulate Stuart for passing his instrument check ride in Pella on a very windy day in 3574K! He earned his rating on Friday, May 24th! Rick Gleason is Stuart's instructor. 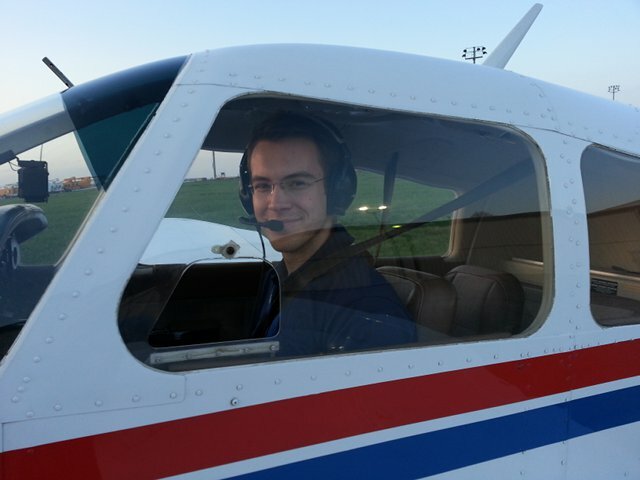 Adin Sehic flew his first solo at the Des Moines airport on Monday, April 29th! Let's congratulate him on his work in the club's Cherokee! Congratulations to Jordan Shaw on his solo flight April 26th at Ankeny Airport in 38190. Jordan decided to pursue general aviation after a glacier sight seeing flight last summer with his friends, one of whom was the pilot. Jordan plans on flying with friends and family for fun. Michael Touney is Jordan's instructor. Congratulations are in order for Charles Goodall. 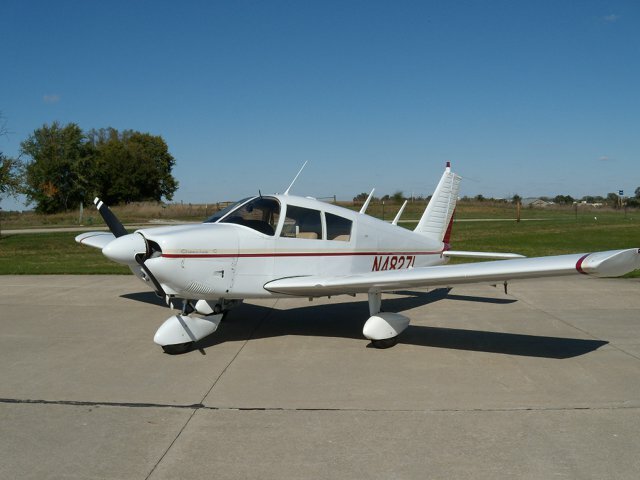 He soloed in 74N at the Ankeny airport on Sunday, April 20th. Blue skies ahead for Charles as he continues toward his pilot certificate! Tom Merfeld is Charles' instructor. Let's introduce a new DSMFC club member... Teri Jungblut took her first lesson on 3/8/2013! Look at the smile as she manuevers 38190 around the sky! Let's all make her feel welcome when we see her on the ramp. Rick Gleason is Teri's instructor. We have a new instrument pilot! 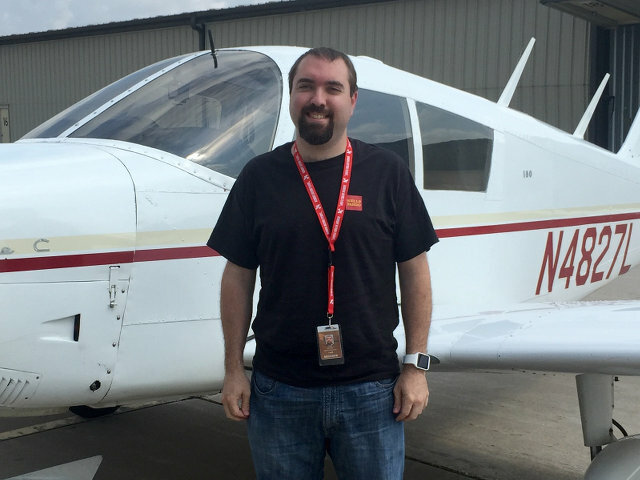 Let's congratulate Matt Bednar for passing his instrument check ride! Matt earned his rating on Saturday, March 2nd! His tail wheel endorsement is next! Rick Gleason is Matt's instructor. Michael Touney is Zach's instructor. Jeff Tegethoff soloed today December 17th! Jeff is excited to get going on his cross countries and finish his Private! Sean Davis is Jeff's instructor. 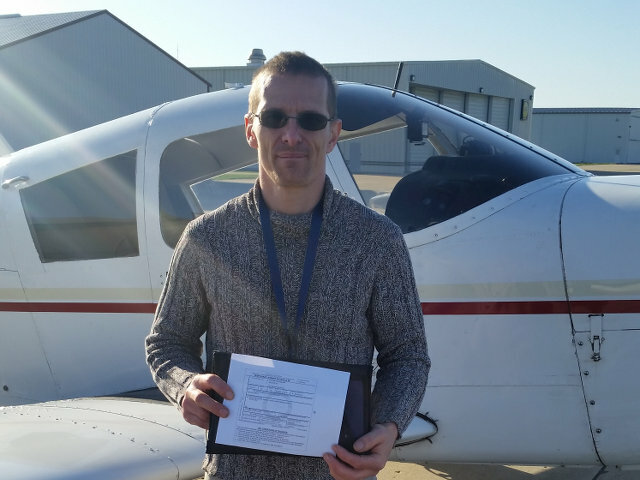 Let's congratulate Robert Gray for his solo on Saturday, December 8th! He flew N3574K. 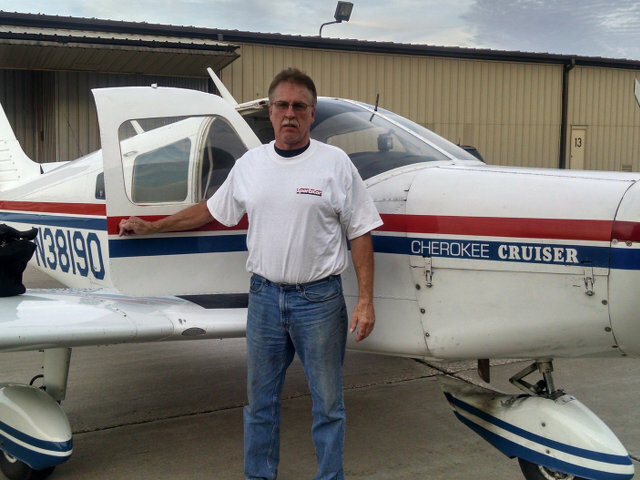 Dave Bednar passed his Instrument check ride on November 24th! He's looking forward to flying with family and friends! Sean Davis is Dave's instructor. 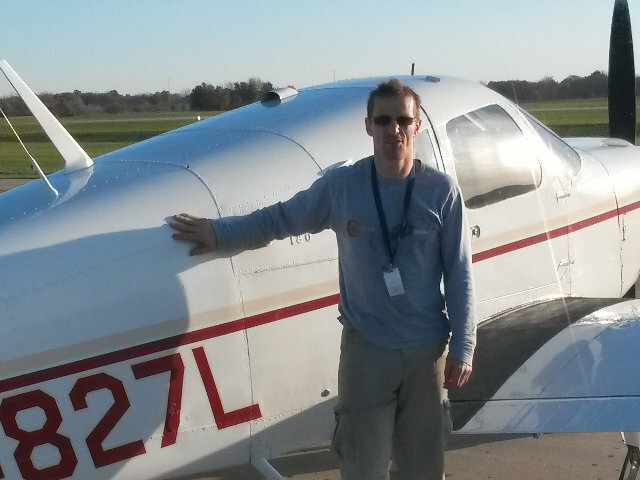 Mike Welsh soloed November 20th! He's looking forward to starting his cross countries and finishing up his Private! Sean Davis is Mike's instructor. Leo Skeffington passed his Private Pilot checkride on Friday the 9th of November. Leo is looking forward to flying for business and pleasure and will be starting on his Instrument in the near future. This is Leo's solo picture. Sean Davis is Leo's instructor. 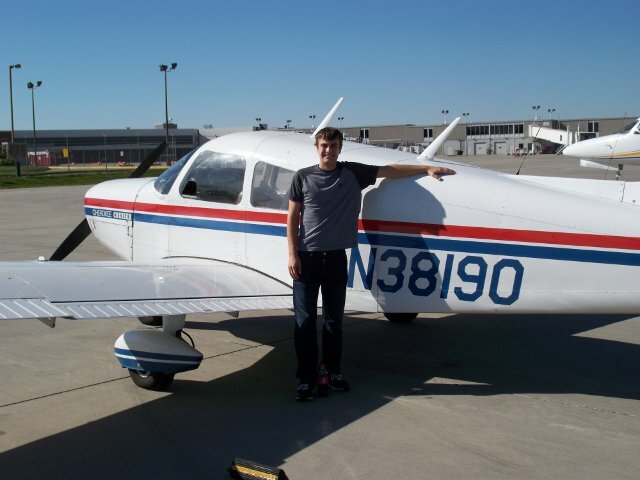 Zachary Stubbs soloed on October 9th at Ankeny. 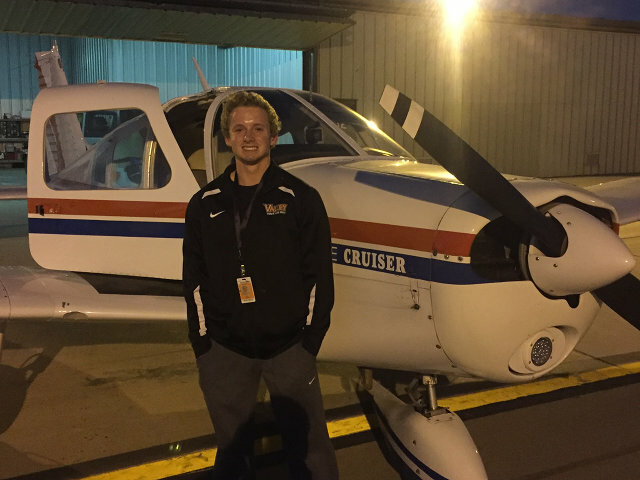 Zach looks forward to earning his private pilot rating and then would like to pursue an instrument rating. Zach plans to fly for pleasure and travel with friends and family. This is Troy Walker right after his first solo. Troy said you told me the aiplane would perform better without the instructor in it, but you didn't tell me it would be such a rocket ship!! I had a great time flying by myself!! Steve Davis is Troy's instructor. This is David Miles right after his first solo in N2974N. David is an excellent pilot and is looking forward to earning his private certificate. Steve Davis is David's instructor. 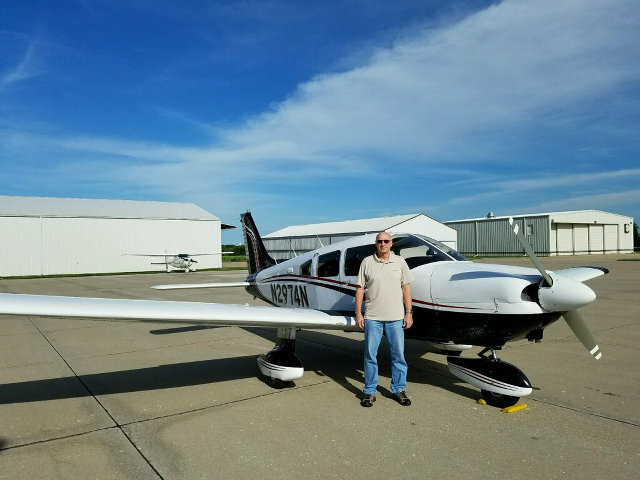 John Stark soloed August 30th at the Des Moines Airport. John is now on to his solo cross countries and looking forward to finishing his Private. Sean Davis is Robert's instructor. Meet Ian McNish! He's the latest to solo in a club plane! Congrat's to Ian. Ryan Campbell is Ian's instructor. 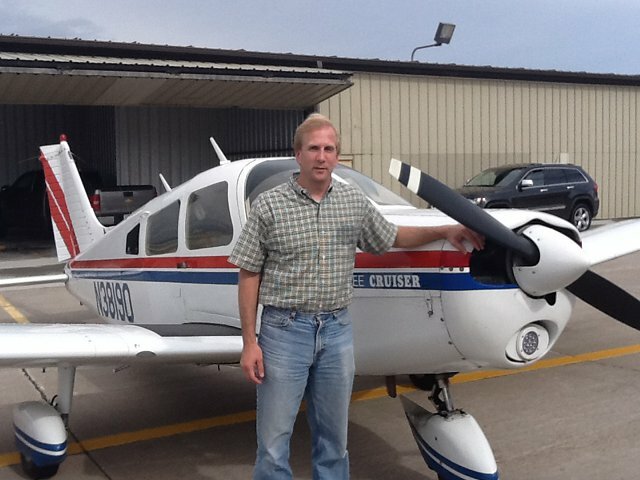 Robert Cramer passed his checkride July 3rd. Robert is looking forward to starting his instrument rating and building experience with plans to fly for business and pleasure. This is Robert's pic from his solo in March. Leo Skeffington soloed on June 30th. He's extremely excited and is looking forward to finishing his private pilots's license. There's now a Baron available for rent. You'll need to see Steve or Sean Davis for the details. 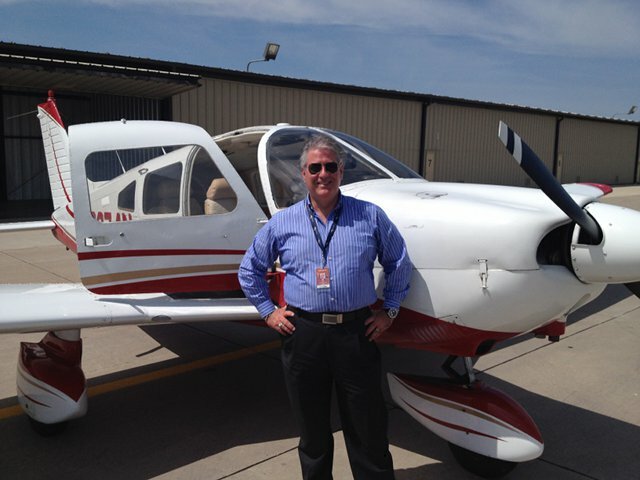 Ted Phillips passed his instrument pilot checkride on June 9th. Here's Ted's picture from his solo earlier this year. Ted went straight from passing the private to working for his instrument rating. He's earned a rest! Sean Davis is Ted's instructor. 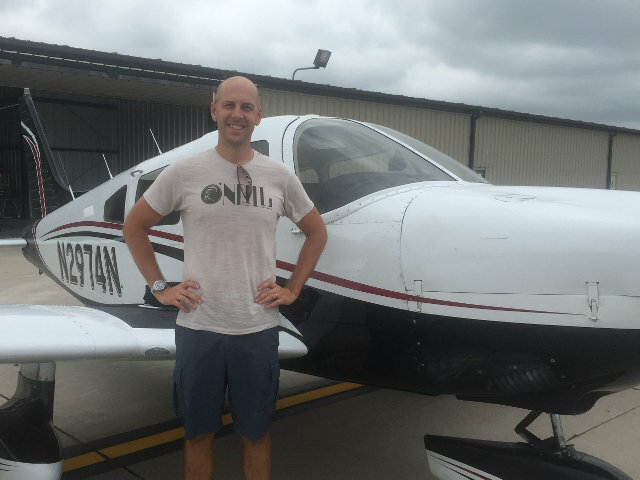 David Bednar passed his private pilot checkride on June 5th. Here's Dave's picture from his solo on February 6th. Good job, Dave! Sean Davis is David's instructor. 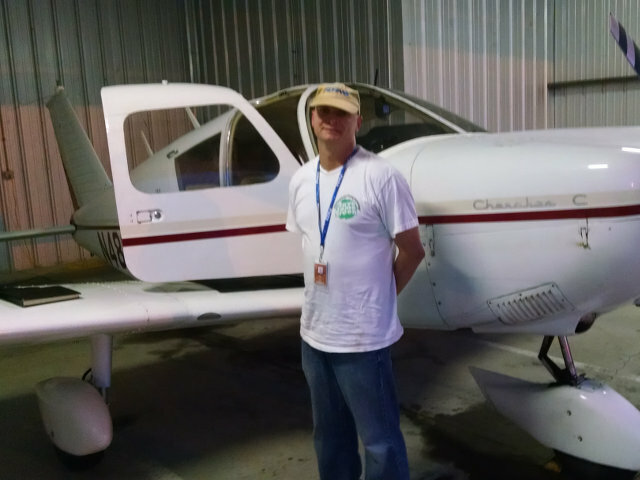 Scott Peters passed his private pilot checkride on May 25th. The Des Moines Flying Club is proud to announce the addition of a new plane to our fleet. It is an A36 Bonanza. You need to see this plane. It is based at Signature FBO but if you want a good look at it we will have it on display at our monthly movie night next Saturday May19th at the maintenance hangar. 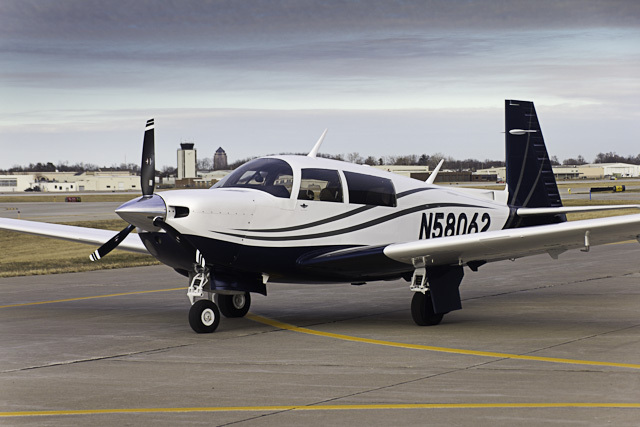 If you are interested in getting checked out in this new plane contact your club flight instructor. They will have all the information on the plane and can arrange a check out flight. Anyone that is planning a cross country flight and likes to fly in comfort this is the plane for you. 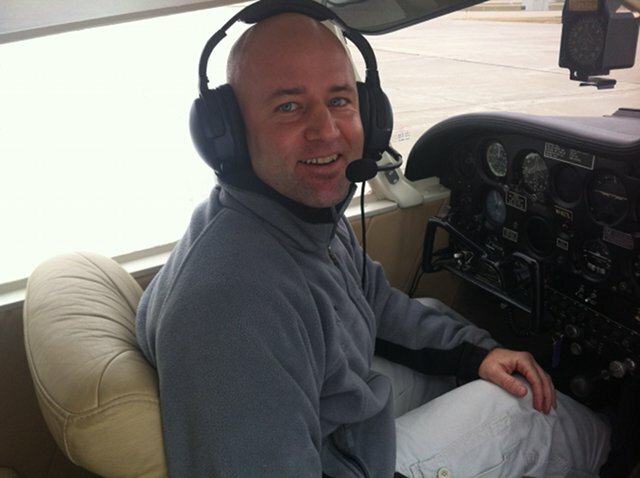 Eric Reese passed his Private Pilot checkride on March 13th. Shane at PEA (Pella) was his examiner. Rick Gleason is Eric's instructor. 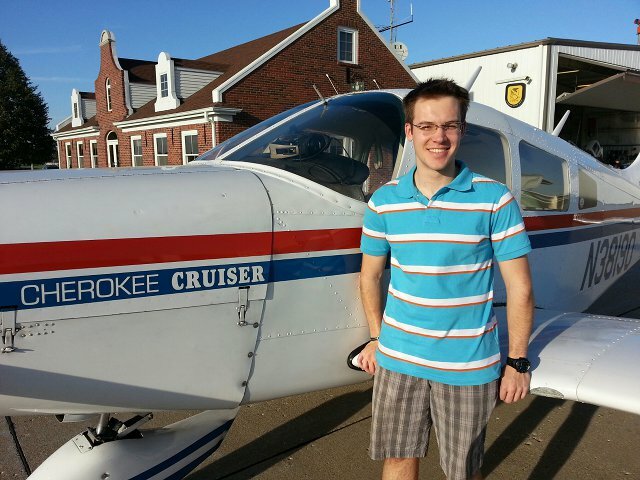 Robert Cramer soloed on March 20th in Des Moines! Robert is a second generation pilot and is looking forward to finishing his private. Robert plans utilize aviation for his business and pleasure. Scott Peters soloed Saturday the 10th. Scott was extremely excited to solo and is looking forward to finishing up his private. Andrew Nystedt soloed in N3574K. Andrew comes from an aviation family but thought flying by himself was really fun!! Scott Gordon has passed his private pilot check ride. 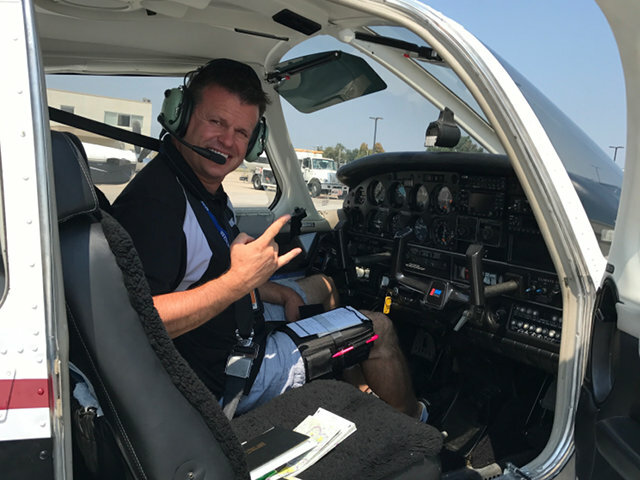 Scott has been anxious to learn everything he can about flying airplanes and now looking forward to using his new privilege for business and fun as well as towards earning his instrument rating in the club Mooneys! Steve Davis is Scott's instructor. 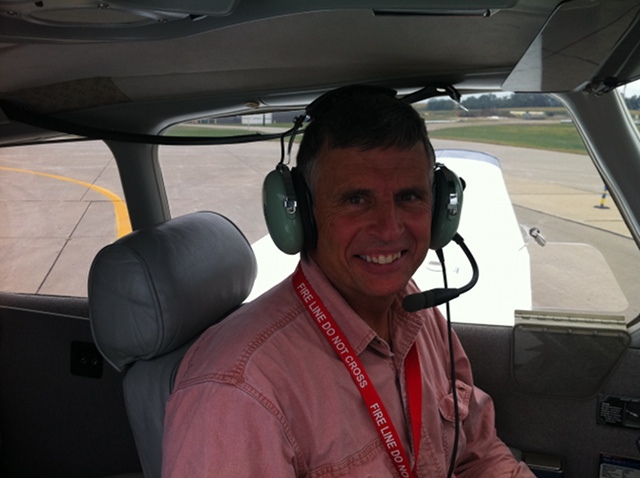 Don Seifried passed his private check ride today and joins the ranks of private pilots in the Des Moines Flying Club. He is looking forward to flying his wife and kids with his new rating. 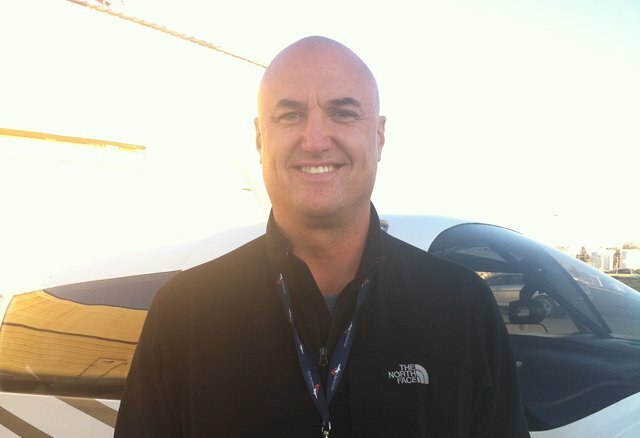 Don really enjoys flying, is a natural pilot and is looking forward to earnings his instrument rating". Congratulations to Don!!! Steve Davis is Don's instructor. 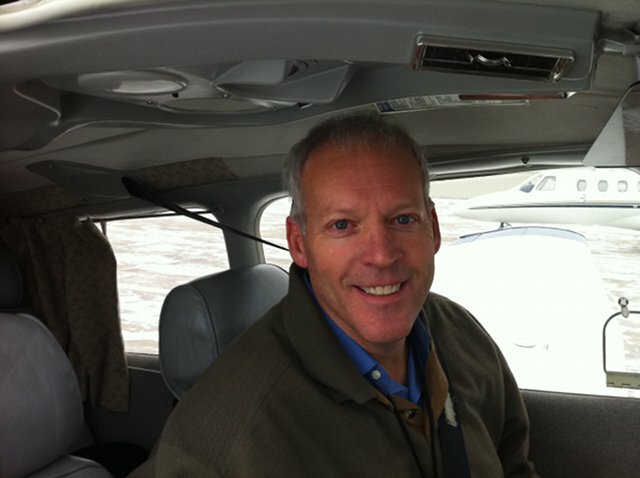 Here's David Bednar after his first solo in 38190 on February 6th! He's all smiles and ready for more. 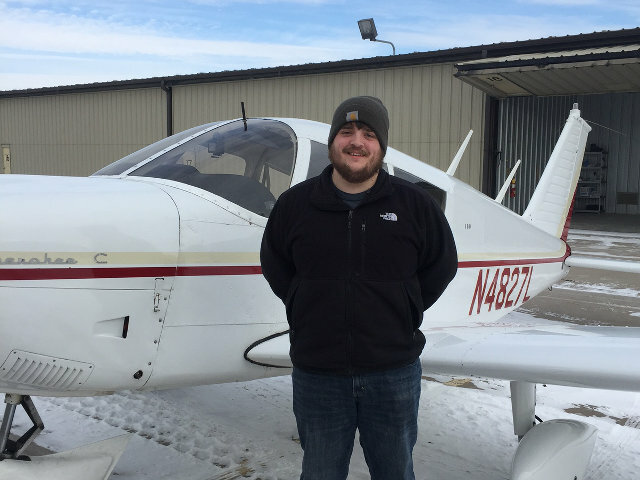 Shad England completed his first solo flight on 1/20 at the Des Moines Airport. Shad's all grins after 3 very nice solo landings! Don David is Shad's instructor. 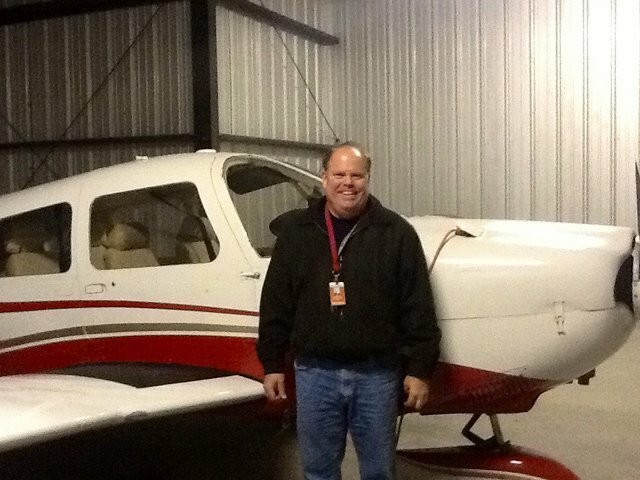 Ted Phillips passed his Private Pilot check ride on Thursday, January 5th. Ted is looking forward to building experience and pursuing his instrument rating. You may not recognize one of our Mooney's! N58062 has a new look. 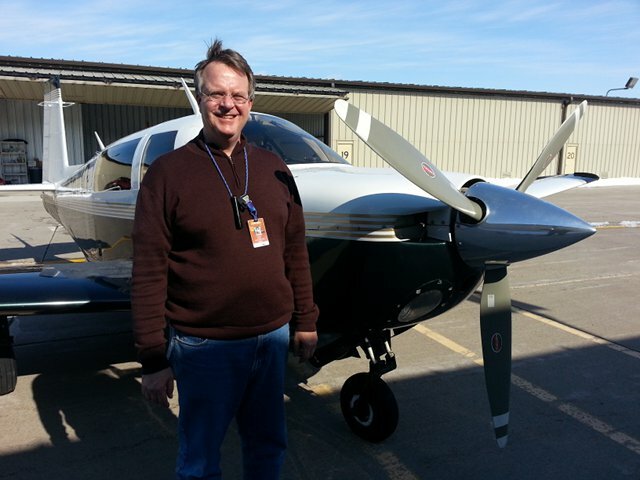 Jay Krusenstjerna passed his private pilot check ride on November 30th. He's pictured here next to N2974N, one of the club's Archers! Jay is extremely pleased and is excited to get started on his instrument rating. Sean Davis is Jay's instuctor. 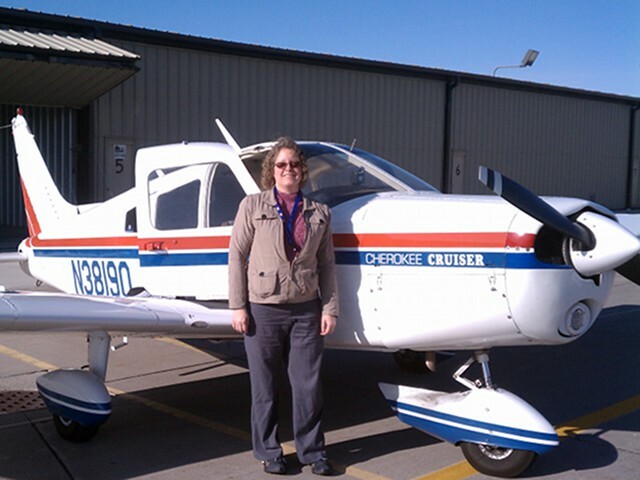 Sandy Marckmann soloed on November 15th, 2011 in the club's Cherokee 140. 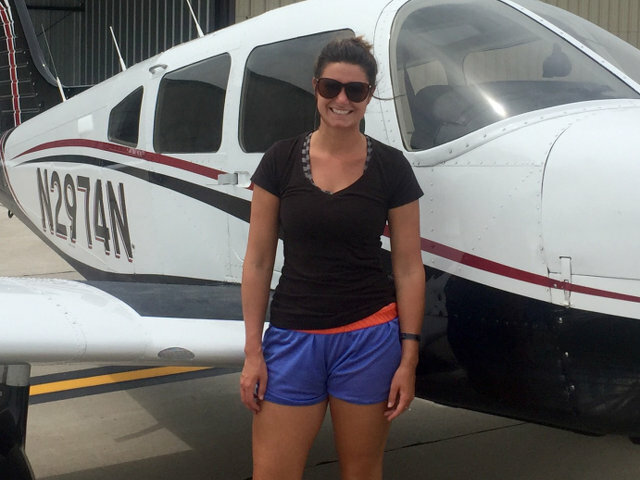 Sandy flew her solo flight at Ankeny Regional Airport! Eric Reese soloed in the club's Cherokee, 38190 at OXV (that's Knoxville for the non-pilots in the crowd) on Friday November 4th. Ted Phillips, he soloed on October 1st at Des Moines. The smile on his face says it all! 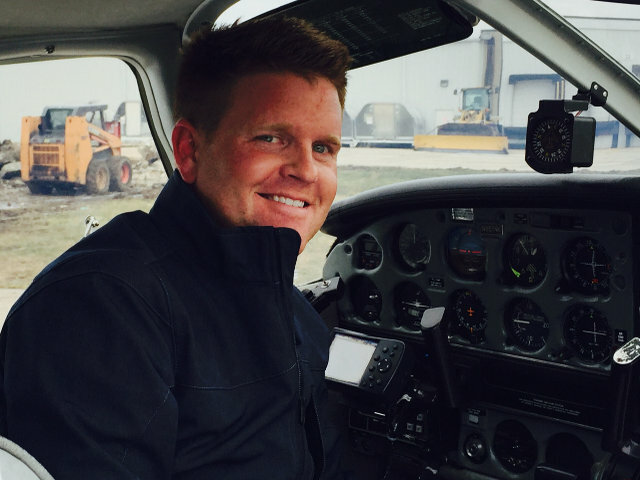 David Luers is a full time fire chief and now is an airplane pilot. His first solo went very well and in keeping with his fireman career, the back of his shirt could have been used to put out a fire when he landed! David is looking froward to earning his private vertificate and has a lot of travel plans when he gets it done!" 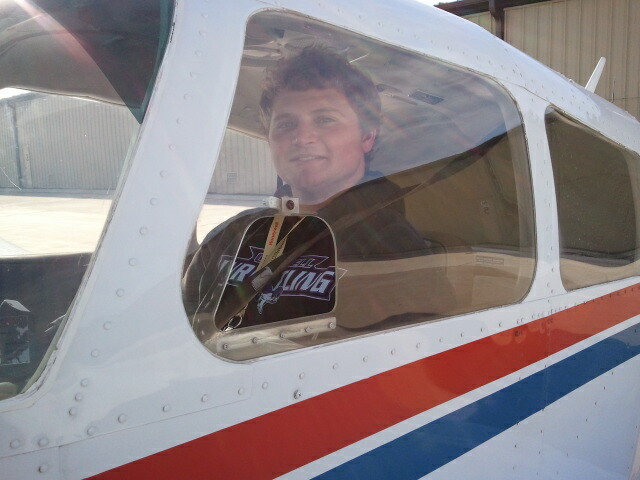 Scott Gordon right after his first solo flight! He is a very happy student pilot and looking forward to getting his private certificate. He said the airplane flew like a hot rod without his instructor in the right seat. Congratulations to Matt Dolan. 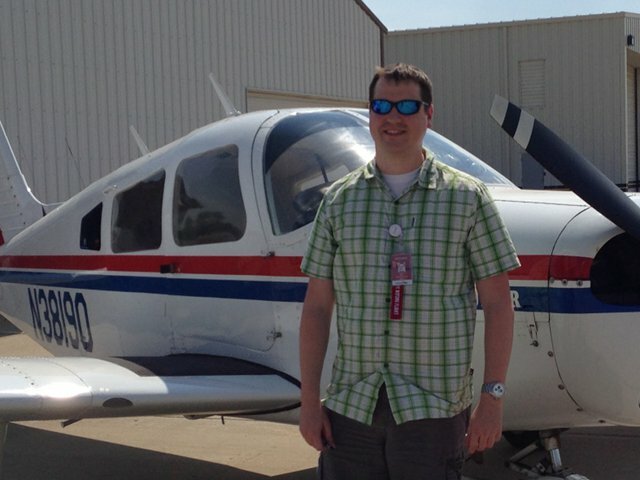 Matt passed his private check ride in June. 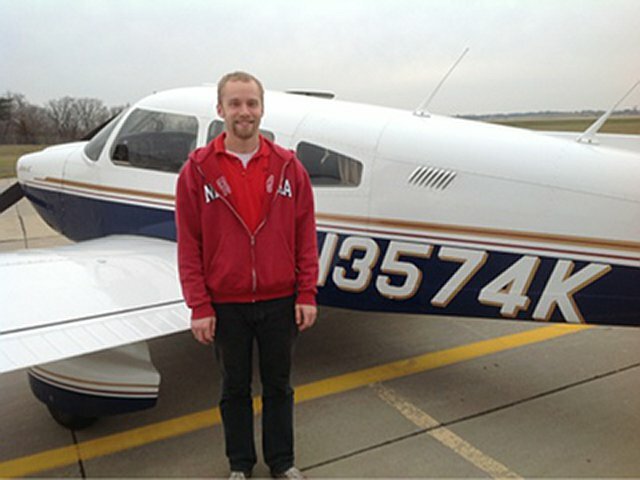 AJ Langfeldt is shown here after accomplishing his first solo in N3574K. 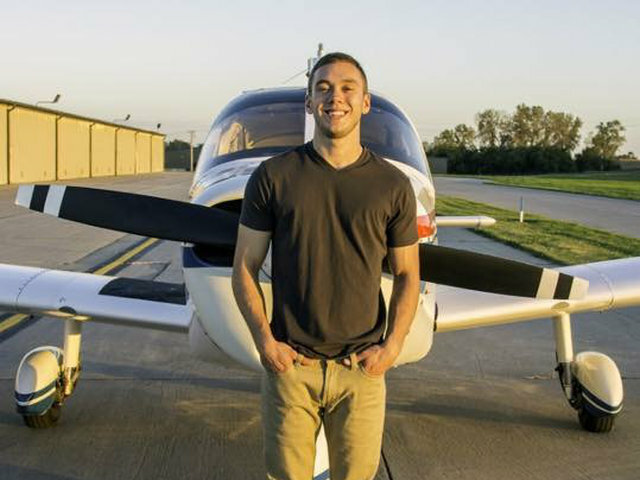 AJ is very dedicated to earning his pilot's license and is planning a military aviation career. You can see he is smiling from ear to ear. Pat Flinn after a lot of determination, good flying, frustrating bad weather and hard work, has joined the ranks of Instrument Pilot. "I passed the check ride just fine and made two of the sweetest landings you will ever see!" Pat was very happy about passing his checkride and ready to start using his instrument rating by taking a trip with his wife in the club Mooney. Pat is actually a relatively low time flyer who earned his private certificate just last year. He is also a very talented and natural pilot who worked very hard to earn this! Matt Dolan and his brothers have dreamed and sometimes been consumed by thoughts of flying. 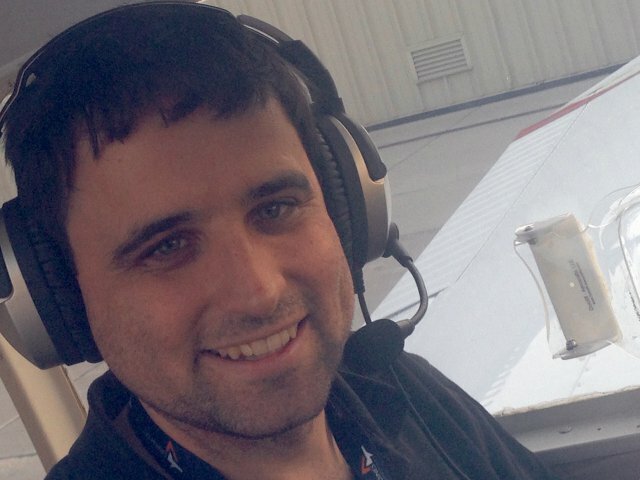 While Matt doesn't readily admit it, his 2000+ hours of Microsoft Flight Sim helped him achieve his first solo with only 10 hours of real airplane flight training in N3574K! You can see by the smile on his face he had a great time and is looking forward to the day he earns his private certificate and will be able fly his friends and family with him as well. His smile is real, ear to ear. He just couldn't help himself. 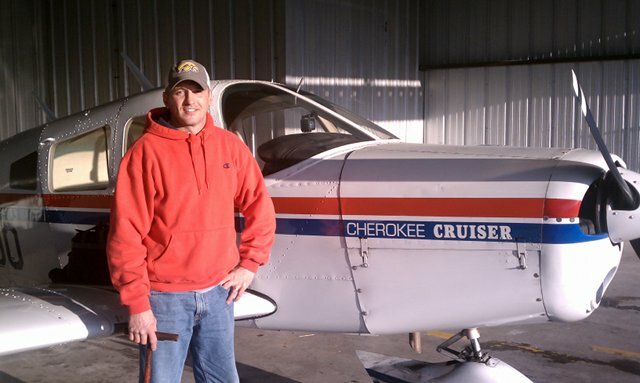 Congratulations to Jordan Gegner who completed his first solo in the Cherokee 140 on Thursday March 3rd, 2011 at the Ankeny Airport. Jordan is a 2010 graduate of Central College in Pella, with a Major in Biology. Jordan currently works as a Environmental Scientist at HR Green, an engineering company in Johnston. Jordan also spends his free time as an Assistant Mens High School Track Coach for Martensdale St. Marys. Jordan aspires to fly aircraft for the military in the future. Michael Touney is his flight instructor. Friday was a big day for Will Barrett! Will flew his first solo on Friday, January 14th. Will is a senior at Roosevelt High School in Des Moines and will be attending the University of Dubuque next year to pursue a flying career. Will's instructor is Sean Davis. Jim Mars right after his first solo in N3574K at the Des Moines International Airport. He couldn't be happier after all went well on his flight. Jim can confidently handle the airplane just fine. He said he is happy with his decision to train in Des Moines because he learning radio communication on every flight. The weather was calm and smooth, although a bit on the cold side; 6' F. It did not matter though as was nice and warm inside the airplane. When asked what he was going to do next after accomplishing so much, Jim replied: " I am going to Disney World!". Jim's instructor is Steve Davis. We have a new pilot in Tyler Young. Tyler got his certificate in September. Tyler says his parents and friends are having a great time flying with him. 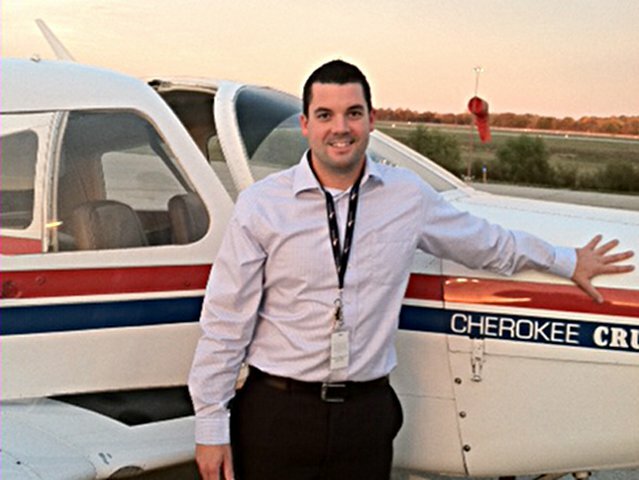 He's learning that a pilot's certificate is a license to learn and it's "one of the most enjoyable parts of my life. Tyler's instructor was Steve Davis. This is Scott Hughes right after his first solo. 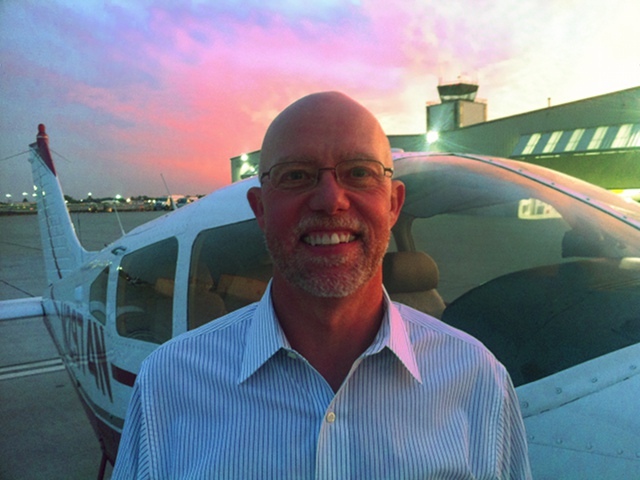 Scott is an audiologist and has a lot of natural flying ability. He really loves to fly!! 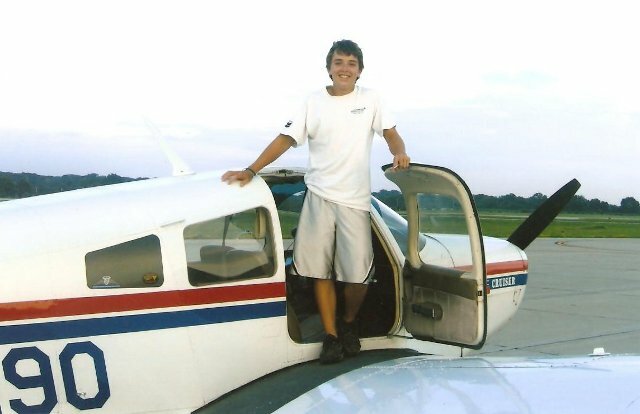 Charlie Webster, age 16, had his first solo in the Cherokee 140, July 3rd, 2010 at the Ankeny airport. This date was the 25th anniversary of his great-grandfather's funeral who was a B-17 flight instructor during WWII. 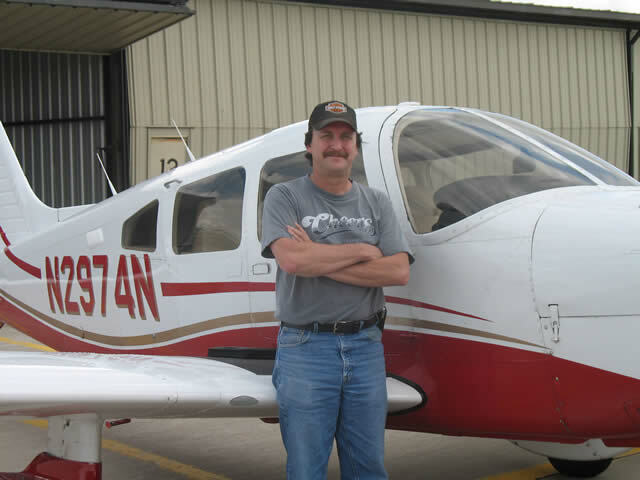 Charlie lives in Panora and drives to Des Moines or Knoxville to fly airplanes. His first eight hours were in a PA-11 (J-3 Cub). He still plans to solo in that aircraft this year. 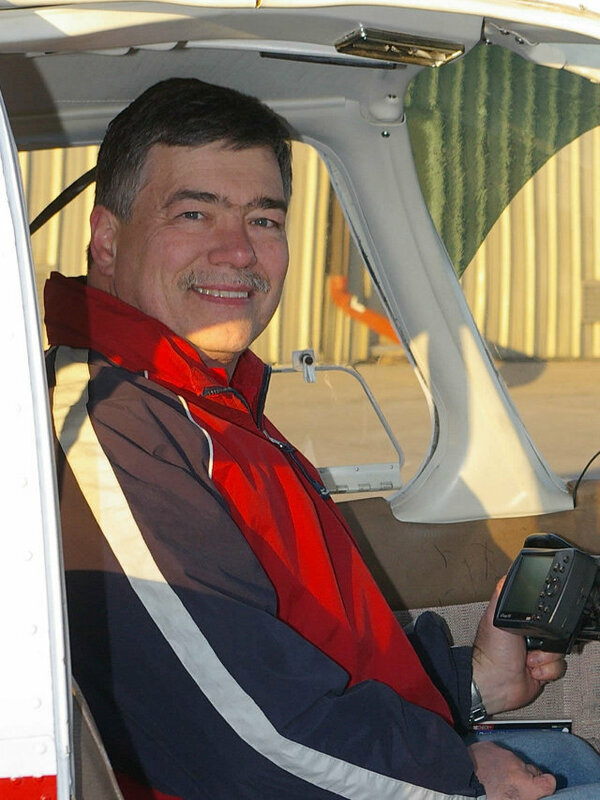 He enjoys flying the club's Cherokee and will begin working on his cross country flight requirements in the near future. His long term plans are to enroll in the Air Force Academy and to make flying a career. We wish him all the best. They are really rolling in these last few weeks as yet another student earns his license. 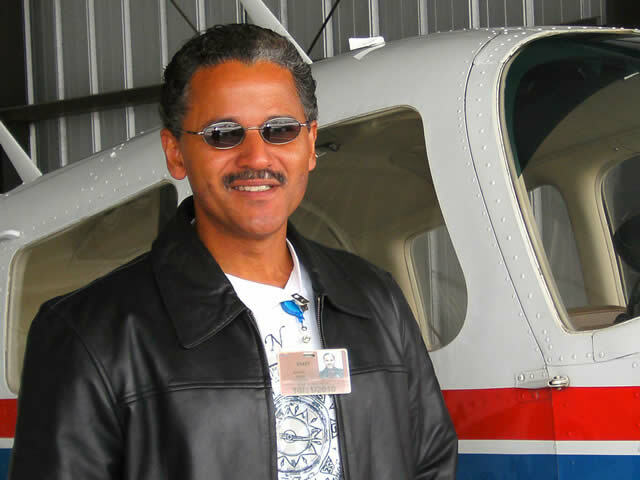 Congratulations to Ralph Booker who passed his private pilot checkride on November 23! Ryan Campbell is his instructor. 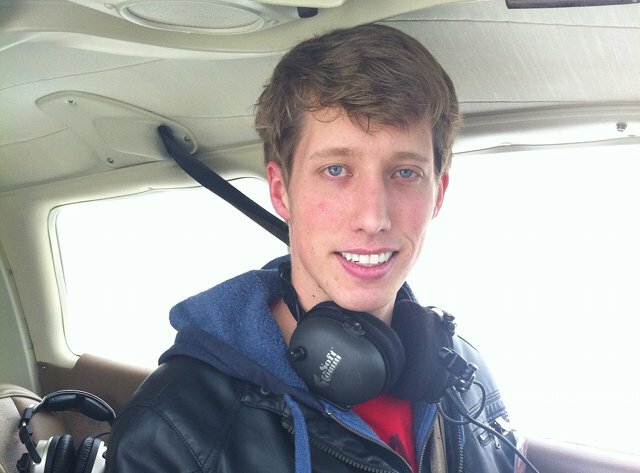 Congratulations to Zach Oswald who just passed his private pilot checkride! He got it the same day as Stuart (below) and we think it might be the first time two DSMFCers got their license on the same day. Frank DeLouis is his instructor. We have a new private pilot in Stuart Rauh who passed his flight test last Friday, Nov 27th with Shane Vandevort in Pella. His instructor, Tom Merfeld, says he flew the Cherokee 140 and will be transitioning to the Archers beginning this weekend. Congratulations to Stuart! 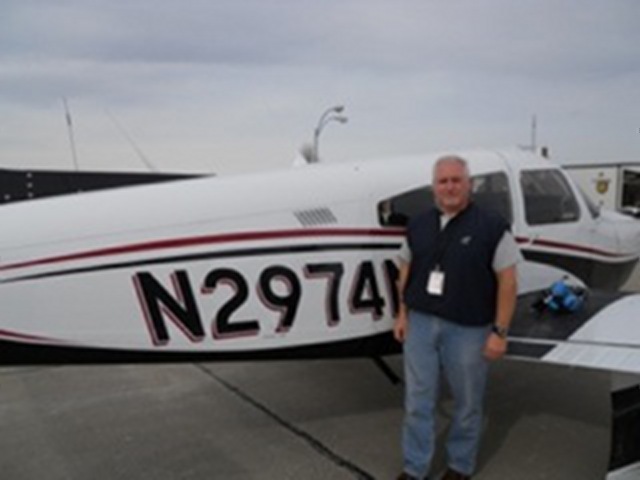 Congratulations to Ron Mutchler, who passed his PPL checkride recently in 74N. Not sure, but it looks like he's demonstrating a power-on stall in this picture! Chris Conley is his instructor. Another solo in DSMFC! Pat Cooper soloed at Ankeny on Sept 26th. Congratulations! Sean Davis is his instructor. 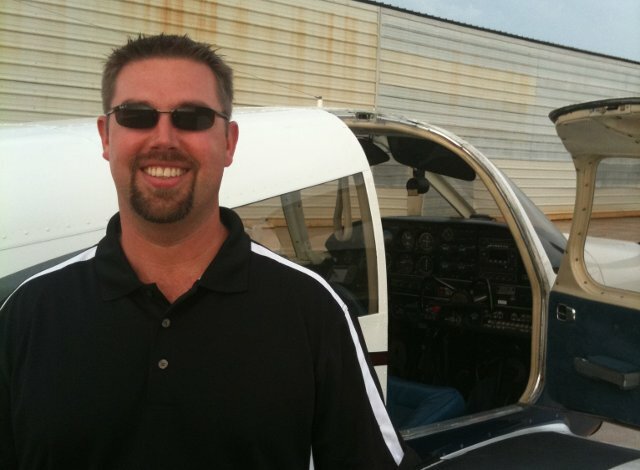 Congratulations to Brad Neff who passed his PPL checkride on Wednesday August 5th at PEA. Rick Gleason is his instructor. 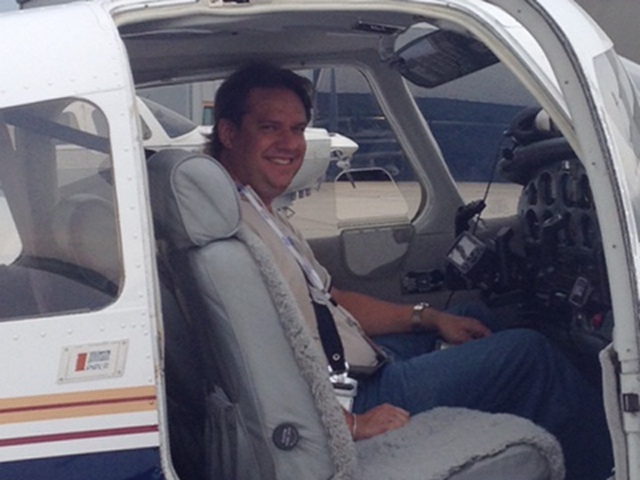 Congratulations to Derek Kilbride who soloed Cherokee 190 at I75 on Tuesday June 2! Rick Gleason is his instructor. 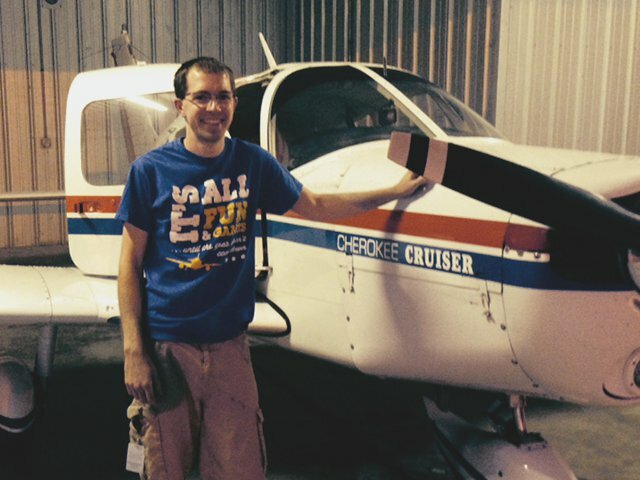 Congratulations to Stuart Rauh who Soloed in the last week of June at Ankeny in the Cherokee 140! 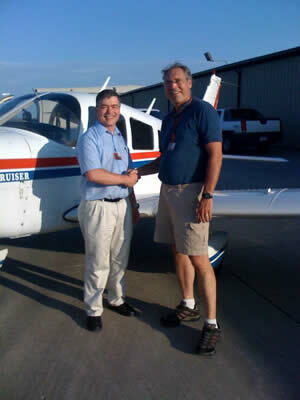 He's pictured here with his instructor, Tom Merfeld who said, "I was able to get him to remove his tie for the flight! 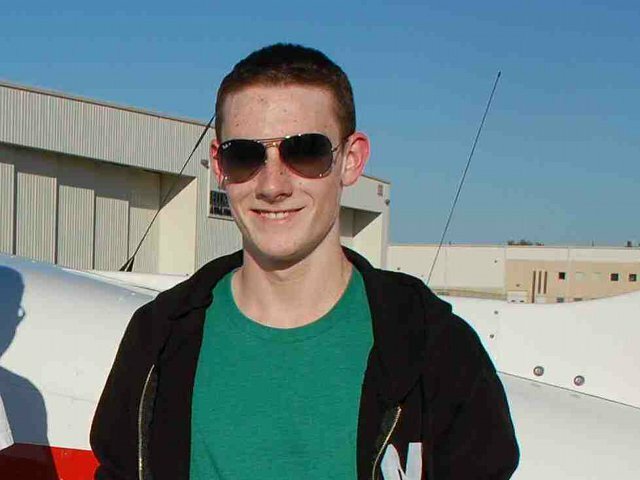 (lest I cut it rather than the shirt)"
Congratulations to Tucker Anderson who Soloed in early June! Tucker decided to learn to fly to overcome his fear of flying at the advice of a good friend. He has certainly accomplished that now as he has soloed a DSMFC airplane all by himself. Tucker is looking forward to getting his pilot certificate and will use his new found ablity to travel for his growing business. 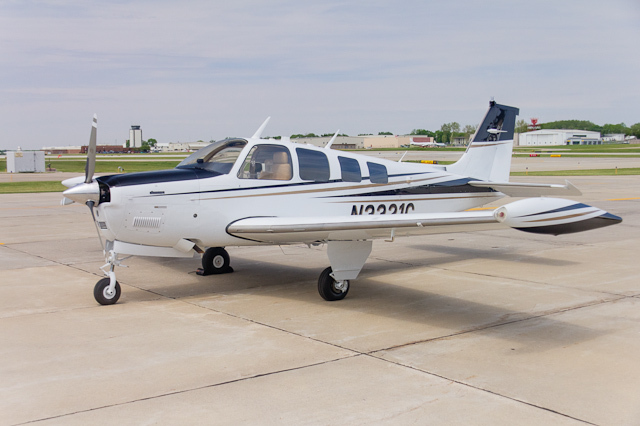 We've added to our fleet again with a very nice Mooney! That means there are now 5 airplanes you can choose from to fly in our club. To see more about this plane and others click on the airplanes page. Gift of Flight If you've seen our ad in the Des Moines Register and want to arrange a flight, click contacts for info on who to call. Airplane Info - The Equipment, location and other data for all our airplanes are now organized on one table on the airplanes page. See Our Fleet of aircraft!